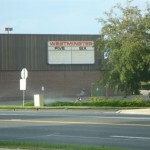 Westminster is a large suburb immediately northwest of Denver. Like many of the suburbs in the Denver metro area, the city is relatively new, and has no old town or downtown area to speak of. 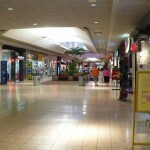 In these suburbs, like many similar suburbs around the nation, the mall was the town center. 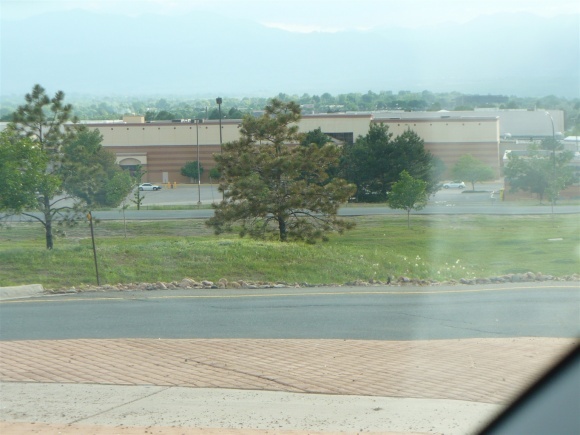 Unfortunately, because of how densely packed the Denver Metro area is, each mall that went up in each suburb leeched the shoppers from the mall in the adjacent suburbs. 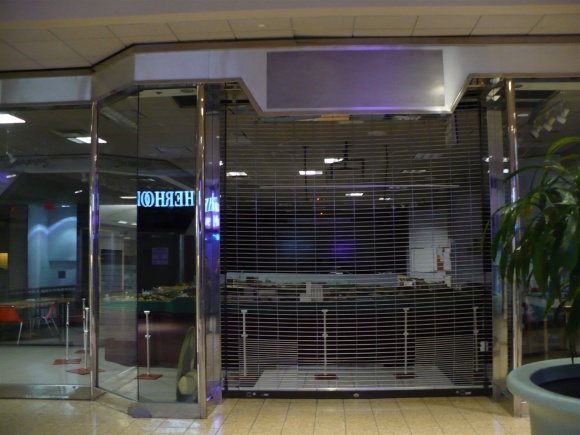 This, combined with the falling fortunes of certain suburbs, as well as a series of recessions, has killed a majority of the Denver Metro area’s malls. 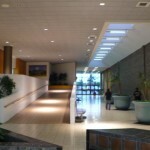 There are now at least eleven “lost malls” in the Denver Metro area that have either razed or demolished and transformed into lifestyle centers, according to the Mall Hall of Fame, from the gargantuan Cinderella City, to the high concept Villa Italia, to the family-friendly Buckingham Square. If nothing changes, it looks as if the Westminster Mall may become the twelfth. 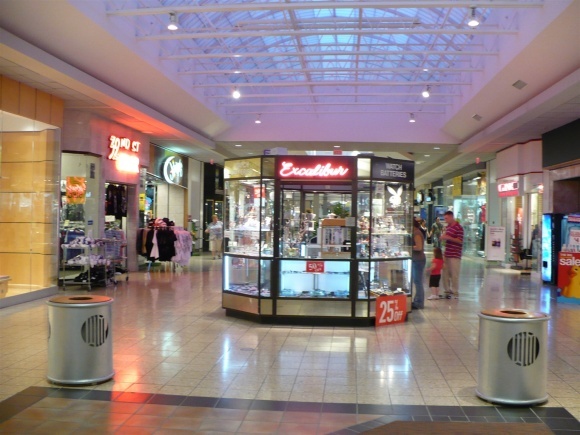 Westminster Mall is special for me because it was the mall my family went to when I was young, from when I was born until I was about six when we moved. 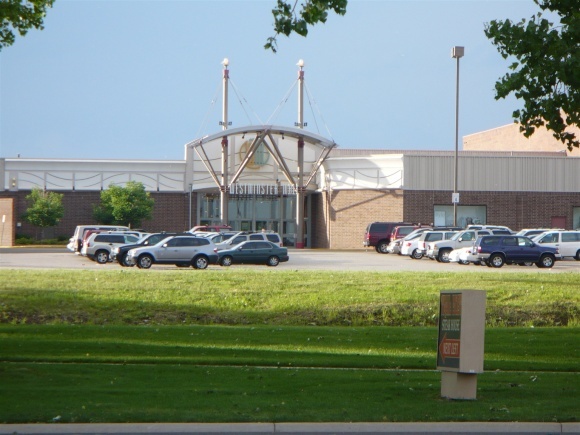 Westminster Mall, combined with Buckingham Square in Aurora, my grandparents’ local mall, was my first concept of what a mall is. 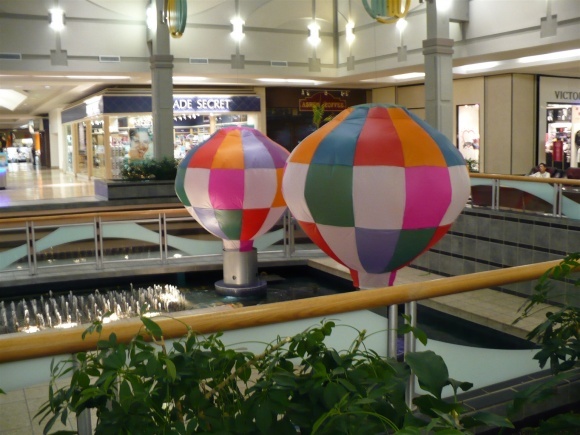 I remember quite clearly walking around the mall with my folks, and marveling at the quartet of hot air balloons that ascended and descended in the main court of the mall. 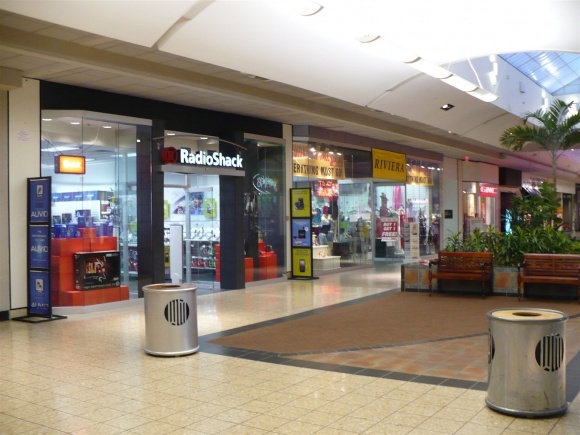 These were the glory days of the mall, the early and mid-eighties, and Westminster Mall was a powerhouse, providing jobs and revenue for the burgeoning city of Westminster. 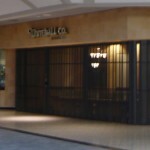 I am unsure of the complete history, but what follows is compiled from several sources, including the Mall Hall of Fame, Deadmalls.com, and several news articles from local papers. 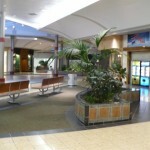 Westminster Mall was built in 1977. 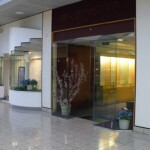 At that time, its only anchor was a two-level Joslin’s department store, and the mall featured only thirty other shops. 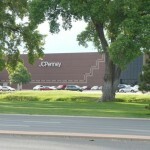 However, it quickly became one of the most popular malls in the Denver Metro Area. 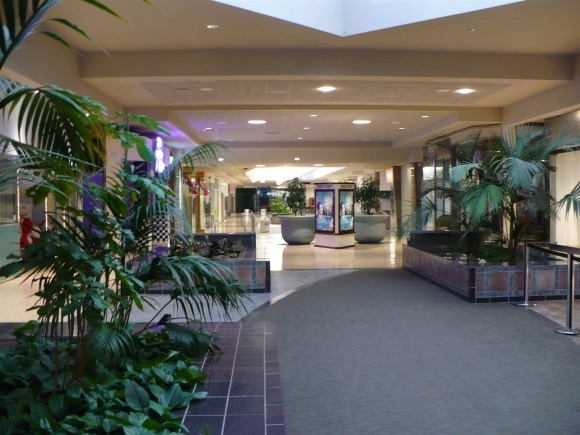 In 1986, the mall expanded, gaining three more anchors: May D&F, Mervyn’s, and Broadway-Southwest. 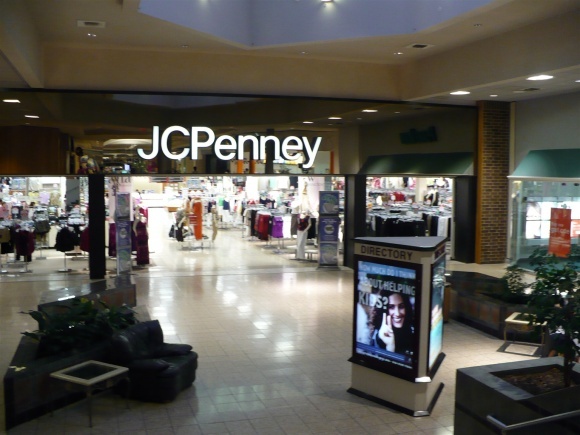 It added JC Penny in 1987. 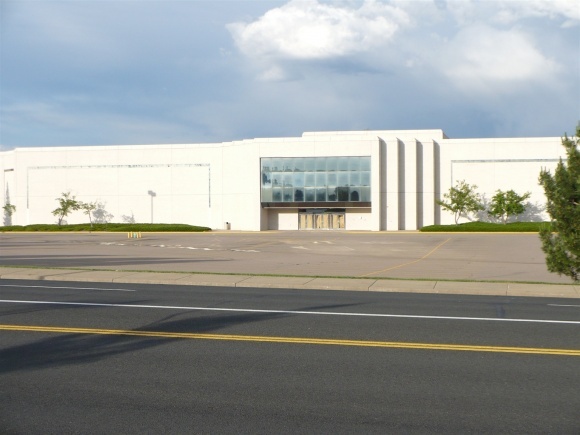 During this time Sears moved its Northglenn Mall store into the now abandoned Broadway-Southwest Building at Westminster Mall. At this point, the mall plan was like a cross with one crooked arm in the north. JC Penny anchored the smallest arm, May D& F and Joslin’s anchored two other prominent arms, and Sears and Mervyn’s anchored the extra long crooked arm, with the arm kinking at Sears and then trailing down to Mervyn’s at the end. 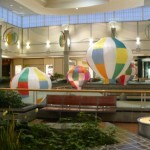 During this time, the mall’s symbol was a series of hot-air balloons floating amongst the clouds: a reference to its center court feature which was a water fountain flanked by four real hot air balloons that rose and fell on air vents. 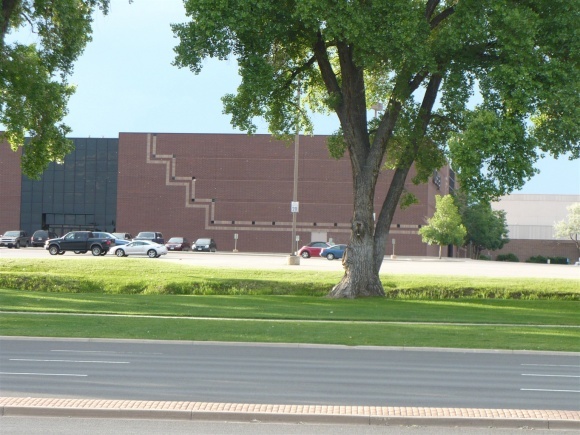 In the mid-eighties, the city of Westminster was on the up, and the mall’s location, on Sheridan, and just off US-36, the main pipeline to Boulder and the northern suburbs, made the mall a huge success. Perhaps too much of a success. 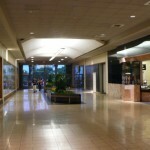 The enormity of the mall started bringing in shoppers from all over the north suburbs, including as far away as Boulder. These shoppers stopped going to their local malls, and instead came to the new Westminster. 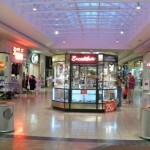 The Westminster Mall contributed to the downfall of at least three other malls and the crippling of a third. 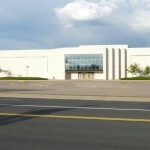 Crossroads Mall in Boulder (now the lifestyle center Twenty-Ninth Street), North Valley Mall in Adams County (now filled with offices), and Northglenn Mall in Northglenn (now the open-air strip mall called the Marketplace at Northglenn) all could list Westminster Mall as a contributing factor to their deaths, either by stealing customers or stores. 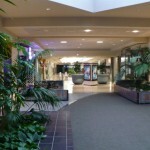 The Thornton Town Center was hit badly by Westminster Mall, but has recovered and transformed into a more open-air mall. 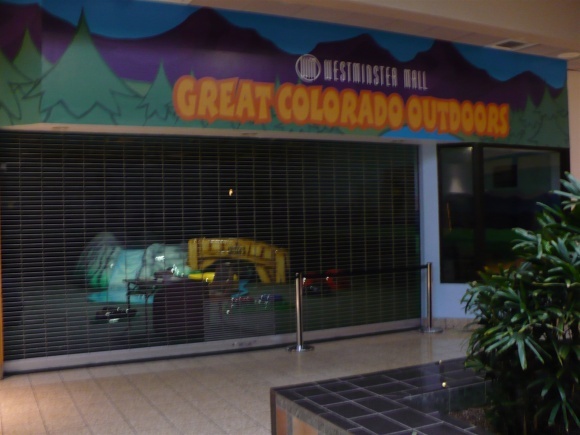 Having killed off its competitors, Westminster Mall reigned supreme in Northern Denver through the 1990’s. 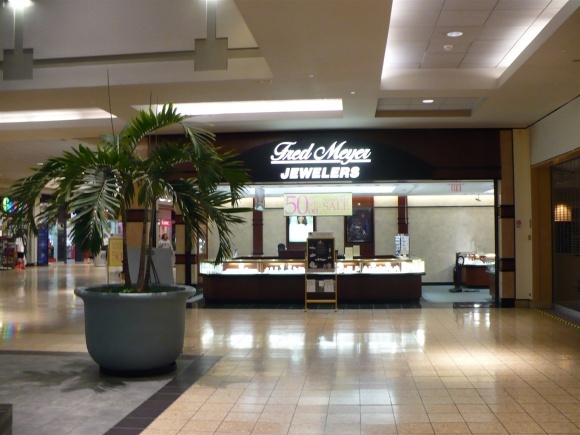 In 1993 May D&F became Foley’s and in 1997 Montgomery Ward opened one of the last Ward’s in the nation in the mall between Sears and Mervyn’s. This made for a huge number of anchors: six, and all of them giant. 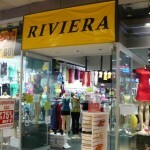 There were hundreds of smaller stores and even a small food court near Mervyn’s. Restaurants flocked in as outparcels, such as Traildust Steakhouse, the Olive Garden, and Steak & Ale. 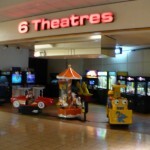 Finally, a six-plex theater opened inside the mall near Foley’s, and this same theater had an outparcel eleven-plex building with even more space, and both were known for having the latest in digital sound. 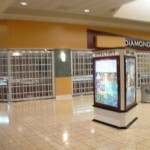 A US Bank opened as an outparcel during this period as well. 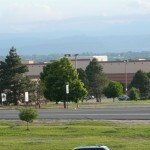 However, during the late 1990’s competition reared its head as the planned upscale combination mega-mall and lifestyle center, Flatiron Crossing, was being built a scant fifteen miles northwest in Broomfield along US-36. This spooked Westminster management enough to arrange for a $10 million renovation and overhaul, with $7 million contributed by the City of Westminster itself, about the same time Flatirons opened up in all of its glory in 2000. 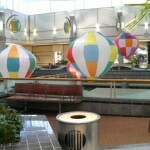 Gone was the old balloon logo, and in was a new, hip “WM” logo, as well as a litany of color changes in the decor. The balloons themselves persisted however, and the old logo can still be found on the mall directories. Even with the competition, Westminster was holding its own, especially with its new $10 million facelift. 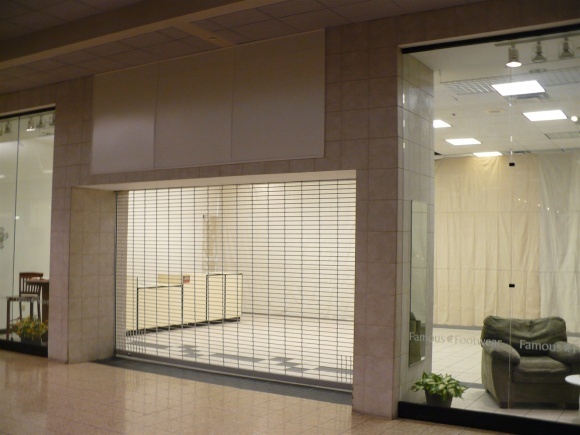 However, as anyone familiar with retail will attest, this was when things started to go south. 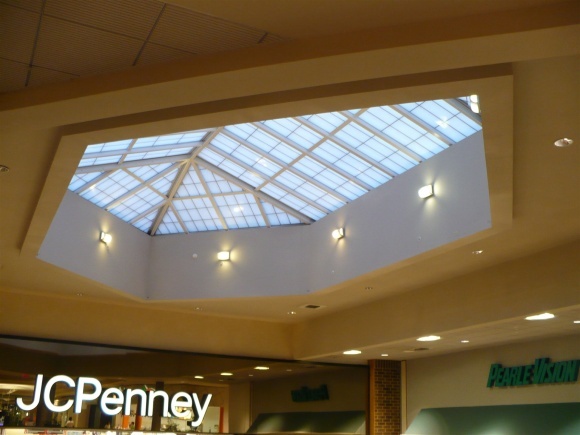 Montgomery Ward’s went under in 2001, taking its anchor with it. No one wanted the space, as every major department store already had a space at Westminster, so Westminster covered the entrance. 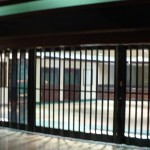 They left the building vacant and intact, and used its secondary entrance as an overflow entrance during the holidays. Sears took over the Ward’s Auto Center. 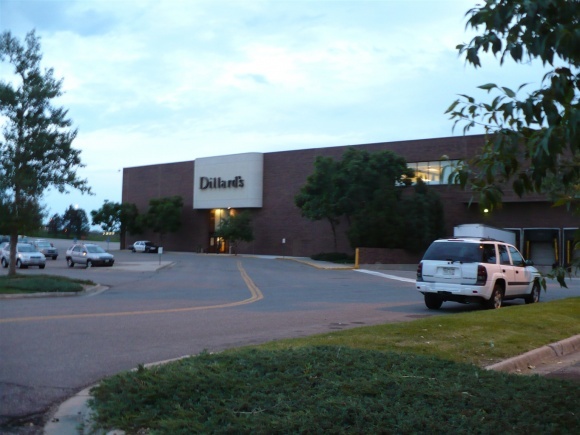 Joslin’s was taken over at this time and became Dillard’s. 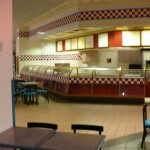 When Mervyn’s closed in 2005, this was the beginning of the end. The north wing, the crooked arm of the cross, lost Mervyn’s at its end. 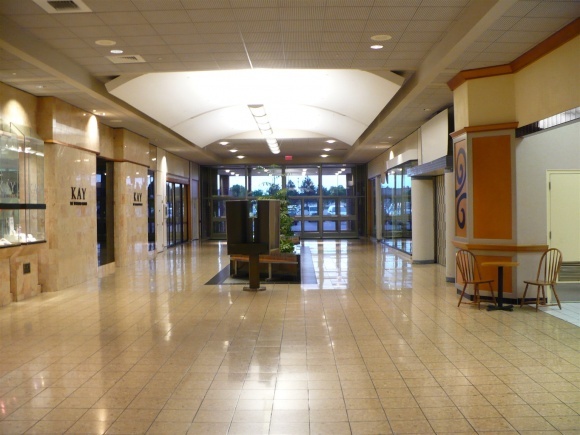 Now having lost Ward’s and Mervyn’s the farthest part of the north wing was all but dead, its food court languishing in a sea of closed, darkened shops. 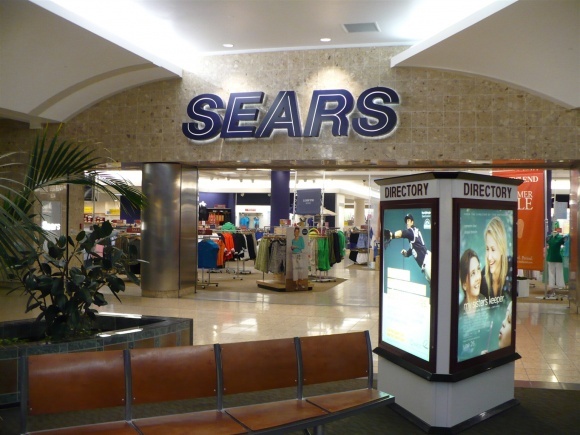 Though Sears stayed, shops closed all along the north wing, leaving Sears virtually alone. This is where I can step in again and recount from firsthand experience. 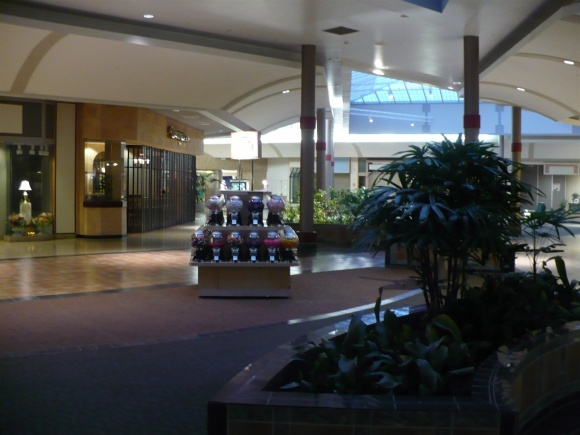 When I moved back to the Denver Metro Area as an adult in 2006, the Westminster mall was coincidentally the closest mall to me. 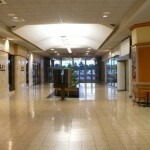 I was eager to go and check out the mall of my early youth. I was dismayed and saddened by what I found. 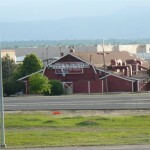 By 2006, Foley’s had become Macy’s, but Macy’s looked at the Westminster location, surrounded by closed shops, and the Flatirons location, new and vibrant, and decided that the Westminster location would be closed as they made their recession cuts in 2008. 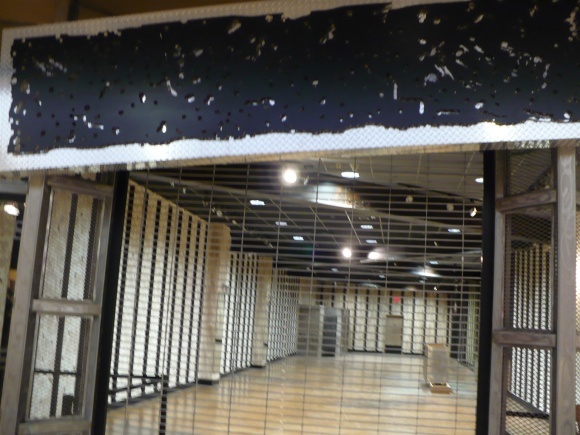 Macy’s closed in 2009, and its wing died with it, including the 6 and 11-plex theaters. Traildust Steakhouse closed its outparcel, leaving so quickly it forgot to take its signage and décor. Steak & Ale went under as its parent company died. 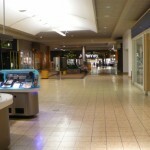 The mall is now a ghost town. 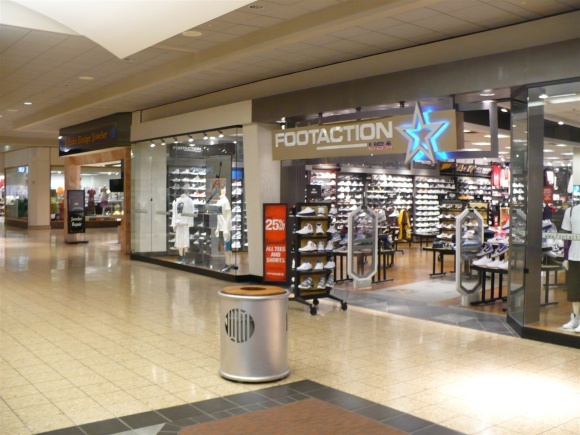 Utilized mostly by rowdy teenagers and elderly mallwalkers (everyone who wants to actually shop goes up to Flatirons), it seems that every time I go, at least two to five stores have closed since the last time I went. 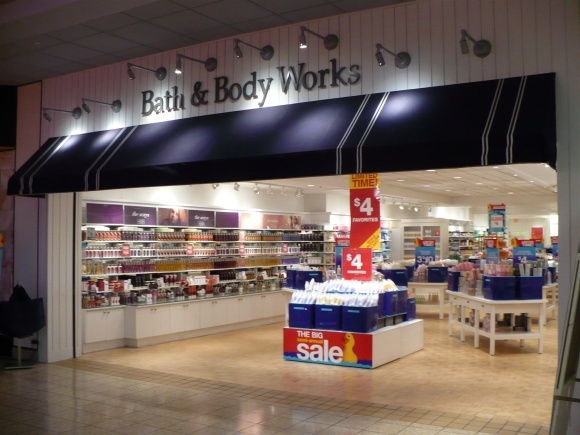 Most stores have been closed and stripped of their branding, but a few are still recognizable. 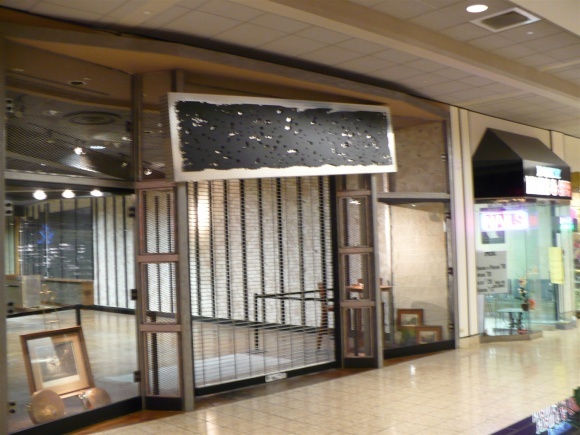 In quite a few, mall management has set up cutsey little displays or art which make little sense, and contribute to the dead nature of the place. 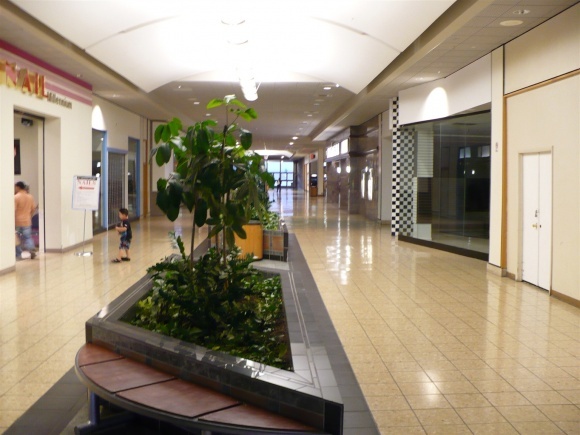 This feeling of helplessness is compounded by the fact that no one knows what will happen to the mall. 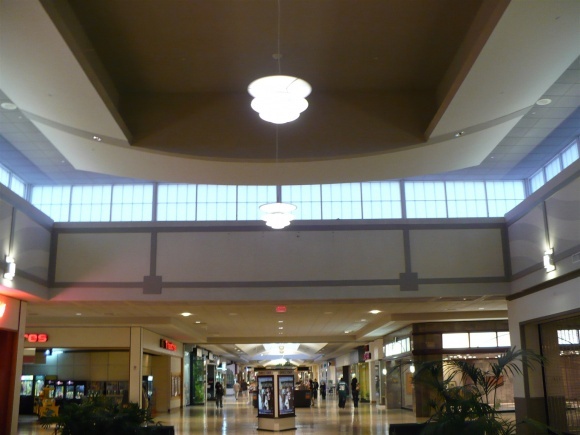 Oddly, everything surrounding the mall is thriving, and most are strip malls and small shopping centers that sprouted up to capitalize on the success of Westminster Mall. 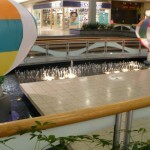 But now the mall seems to detract from the environment rather than add to it. 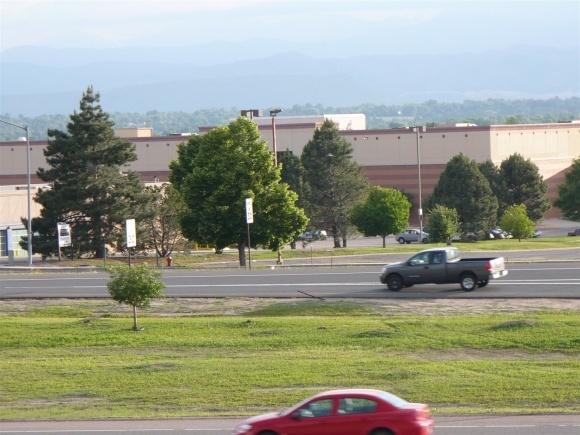 Rumors abounded that the mall was to be reworked and razed to create a lifestyle center to capitalize upon the upcoming light rail Fasttracks train system that was to be built along US-36 as it was along I-25 and the existing RTD (bus) park and ride. 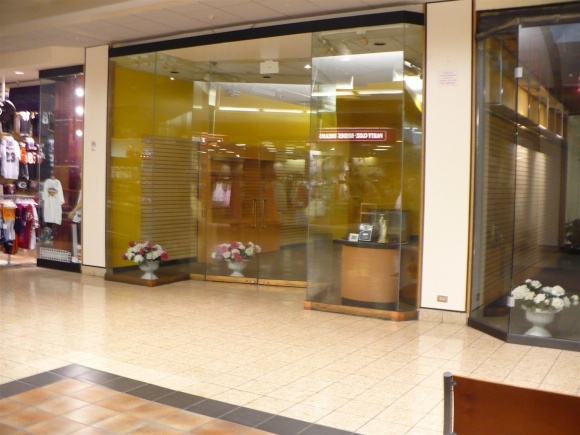 Mall management even went to court to keep Burlington Coat Factory out of the Mervyn’s location so they would have no one standing in the way of demolishing the mall. However, with the souring economy, it looks as though the light rail will not be built along US-36 for a long while, and all the financing that could overhaul the site has dried up. Westminster management seems to be mum about what is happening and their website acts as though nothing is wrong (showing no photographs, of course). 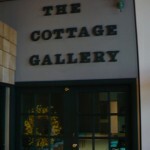 In fact, rumors are that management is paranoid about photographs of the premises being published, and forbids staff from photographing their places of work. Security will stop patrons if they are noticed taking pictures and demand they delete them. 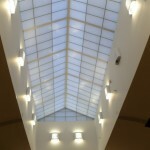 The most recent news, reported by the Denver Post on April 30, 2009, is that the City of Westminster had Westminster Mall declared blighted, after it was inspected and found to be wanting in a variety of different safety areas. Why this was necessary, beyond allowing for taxes to help refurbish the mall, I’m not sure, but local bloggers think it may be to push the management into taking some steps towards doing something with the mall, as the move will let the City of Westminster threaten to take over the property from mall management or store owners through eminent domain. 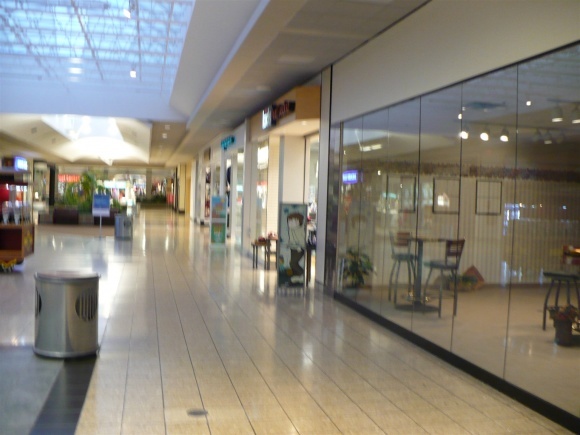 Otherwise, it seems the mall will become more and more dead as we keep hearing about the planned “remodel” that never seems to come. I do sincerely hope something can be done, though I would prefer that the option of a lifestyle center be taken off the table. 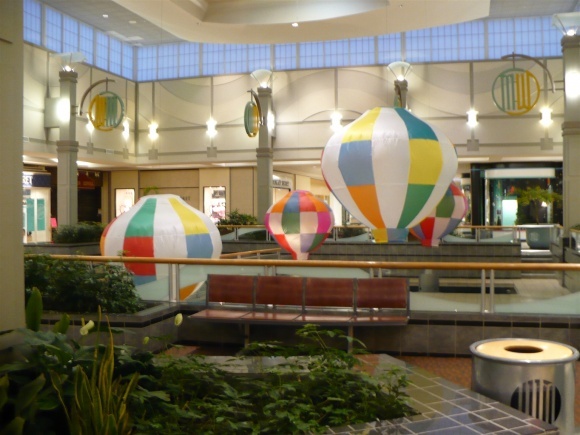 Most of the lost malls of Denver are now lifestyle centers, and though they can be fun, this is Colorado. It gets cold and windy, and open air shopping is not enjoyable for everyone when it is bitterly cold and precipitating. 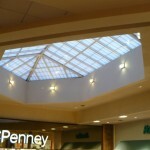 Wasn’t protection from the elements the whole point of the shopping mall in the first place? However, I would prefer anything over the nearly vacant building that stands there now. 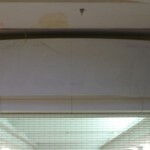 So here are the photographs, a record of a mall that will soon be no more, and a record of my earliest shopping memories. 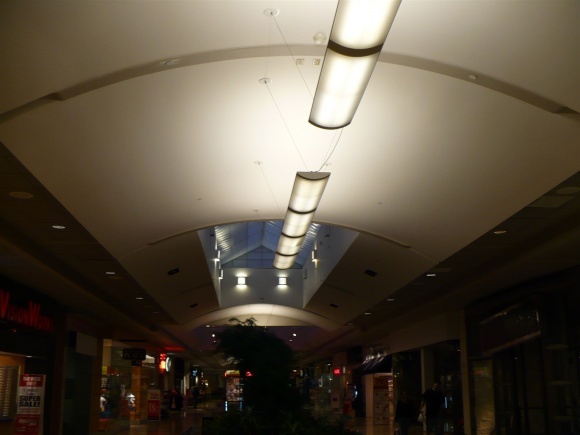 I’m glad I took the time to preserve the mall photographically, even if the pictures are not stellar. Thanks for the inspiration. As usual, feel free to leave your comments on Westminster Mall and retail in the Denver area in general, and thanks again Jacob! Westminster’s plight is certainly awful, but its fate is rooted in the nature of competition — that Flatiron Crossing has some NICE touches!. 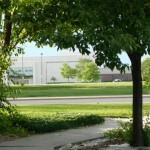 In a healthier economy, the mall’s site would be transformed into a stable mixed-use development, giving the suburb in which it resides a quality town center. Well! 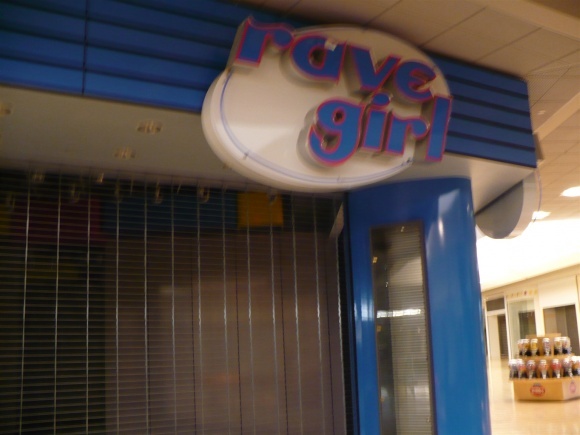 I’ve been reading this on Deadmalls. 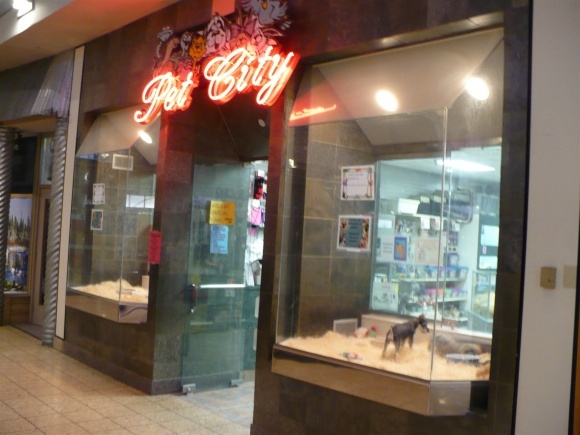 One of the writers of it is the 17-year-old manager of Pet City. What I didn’t see was the “gaping black hole” of Macy’s. It had black tiles. Are sure it was the Macy’s pictured? 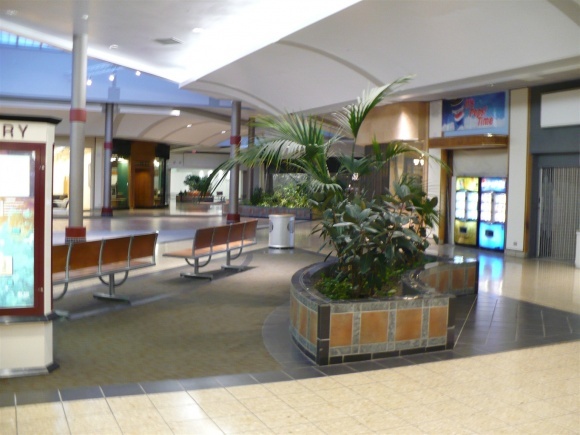 I also wanted to see the food court as a whole, the arcade in the food court, and so on. Oh well, it’s cool. 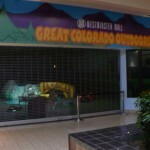 I visisted the Denver area in 2005 and the thing that struck me most is that the malls (indoor and lifestyle) have a noticeable “Colorado Outdoor Theme.” I did not visit Westminster Mall, but did drive past it on the Boulder Turnpike and noticed that the area around Westminster Mall seems vibrant (home to the 2nd Dave and Busters in the Denver Metro Area). It does not surprise me that Flatiron Crossing did a number on Westminster as it’s closer to Boulder, slightly more upscale and has an incredible amount of surrounding stores and hotels. Did I hear correctly that Flatiron is also suffering as a result of the extreme vacancies in the outdoor lifestyle area and the vacant former Lord and Taylor? Continuing with the theme of Colorado Outdoor, I was also very impressed with Park Meadows! Nice mall, great stores, easy access and the theme is all over the mall. I hear they now have an incredible otudoor lifestyle center. Cherry Creek (since it’s owned by Taubman) is a clone of Short Hills, Fair Oaks and Stamford Town Center is also a very nice place to shop. I would hope that Westminster could do something to save itself, but it doesn’t look very likely. The outdoor portion of Flatirons has a few vacancies, but is overall doing well. The Lord & Taylor’s just in the last month or so has become a Container Store. I tend to agree with other posters here that there’s not much to like about this mall. 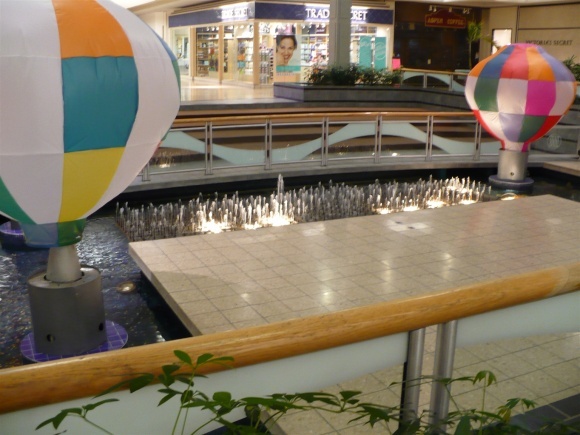 It doesn’t even have history on its side considering that the original 1977 mall was one of those mini-malls that never survived in their original form: today either dead or mutated into monolithic white elephants. I can’t see what’s special about it. Maybe when they start building shopping centers that are all unique and eye-catching they might be able to compete. Flatiron apparently has the style, this mall just has the substance. I bet they would be doing a lot better if the mall had not had been allowed to get so huge. 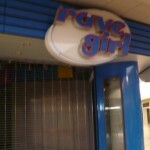 This mall must have been abandoned very quickly. 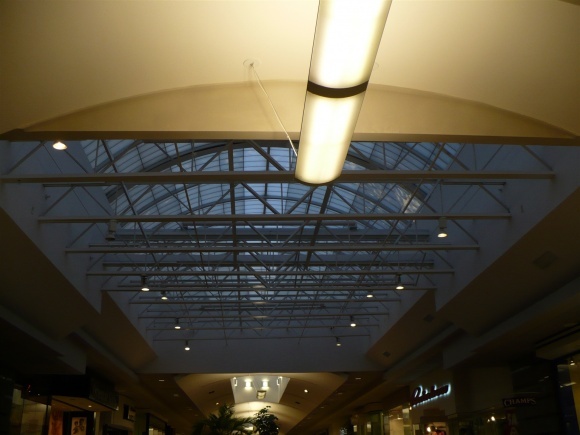 It is very strange that the mall has all of the lights on in the abandoned stores. 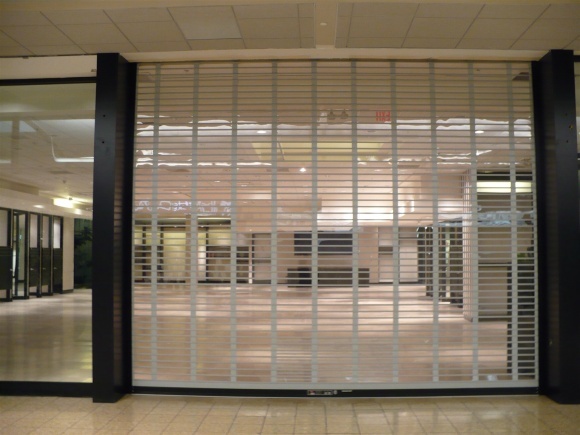 Usually malls do not want to showcase their closed stores, but the management here must really want shoppers to know the place is dying. 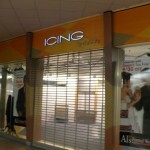 The mall design is clean and new but the majority of the store fronts are dated. 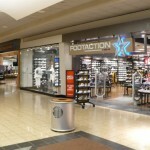 That is not a good combination to keep a mall looking fresh. With three dead anchors and tons of empty storefronts this mall will not survive; especially if there is a newer lifestyle center nearby. 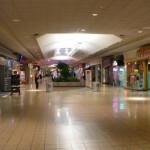 Unfortunately, in this slow economy many malls will empty out quickly just as this one appears to have. 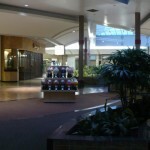 Interesting that it’s demise wasn’t based on changing demographics, but rather on having a glitzier mall 15 miles away. Historically, mall developers tried to pace malls about 10 miles from each other, so a far distance like this is striking, even in the West. Although many malls grew over time, like this one, they really don’t have the organic tie to the development of a place in the same way as traditional downtowns or even classic strips of strips (like Rockville Pike in the DC area) and you get stuck with a white elephant if the thing dies, whereas a lot of suburban downtowns have been reinvented strip-lands with decent demographics also tend to refresh themselves with new merchants. A few weeks ago there was a program on PBS that profiled three cities & there traffic congestion issues. First up was Portland Oregon & there success with growing from within via there use of the MAX lightrail system. Third was the South Bronx & there desire to remove a lightly used expressway to improve a neighborhood where azma rates are amung the highest in the US. In between was Denver & there sprawl problem. In denver the way to solve the congestion issue in the eyes of several polititions is to build more roads like completeing of the 470 beltway & build more sprawling developments. 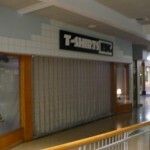 This is just one factor in Westminster Mall’s decline. Along those lines AMC built a 24-screen Theatre on Westminster Boulevard a few years ago & opened another theatre on Orchard Parkway with 12-screens last year. It is things like this that make me scratch my head & wonder who is getting payed off with all this sprawl development. 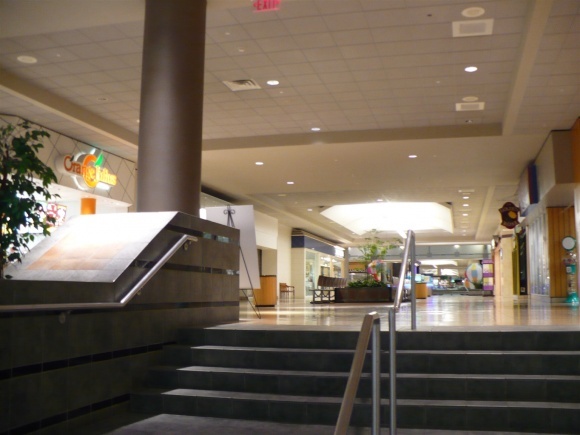 There’s no real reason that this mall is in such bad shape. 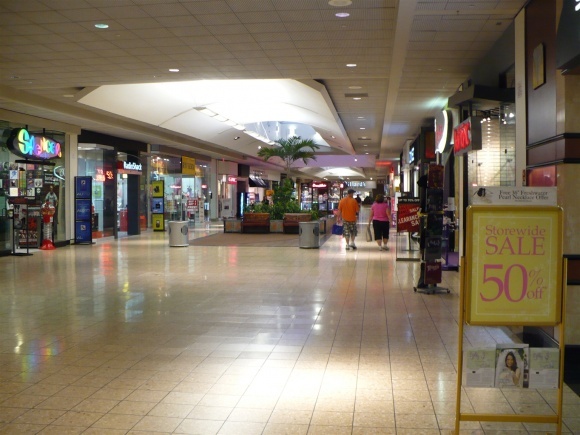 Meanwhile the strip centers around the mall are thriving. I don’t get it. Denver DOES have a light rail system which probably doesn’t do that much, but still! Denver like several metro areas had a massive increase of transit riders over the past few years. However news outlets only picked up the story when gas prices rose to the point when driving just a short distence became a hardship & crimpt retail & auto sales. They never explored the sprawl problem because a fair amount of media revenue comes from the real estate sector & were not about to bite the hand that feeds them. As we have sene over the past three years the real estate industry was in line for some kind of a correction, but we as a society just didn’t have a clue in what we were in for. Cities like Westminster may not be in the same league as Las Vegas in the forclosure fallout, but the lack of a central downtown will make it harder to give Westminster, Littleton & cities like them some kind of an identity other then just another sprawlburg. Without rapid transit how will these communities keep growing when gas at the pump crosses $5 pg? We already saw what happend at the $4 mark. Transit systems were bursting & even when fuel prices dropped by half, most of those people still were on transit. So here is a chance for Westminster Mall to be redeveloped into a showcase for smart development for the future, or the mall will just rot away. Lonetree, Littleton & other cities are in the same boat even if they aren’t aware of it. I’m sure they are aware but just think this is not a big problem. This mall is a microcosm of ecconomic forces at work that most people haven’t rapped there brains around yet, but they’ll need to to move foward. This appeared to be an A-class mall very recently. 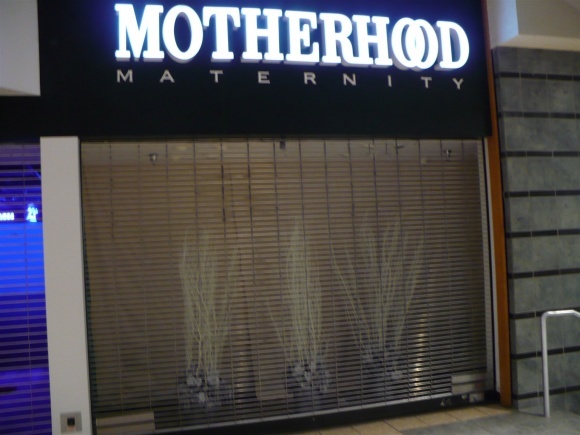 Some of the vacant stores such as the Disney Store, PacSun and Motherhood Maternity still have the old storefronts at the time of their closure. 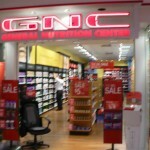 Other stores still open like Hot Topic and GNC are still sporting their vintage storefronts as well. 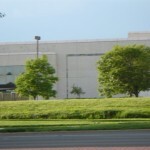 I think this mall might succeed if they move Sears to the vacant Foley’s, relocate all the stores from the former Mervyn’s and Montgomery Ward wing and then subsequently demolish the entire wing, building a megaplex theater anchored strip mall in the entire parking lot north of the mall. 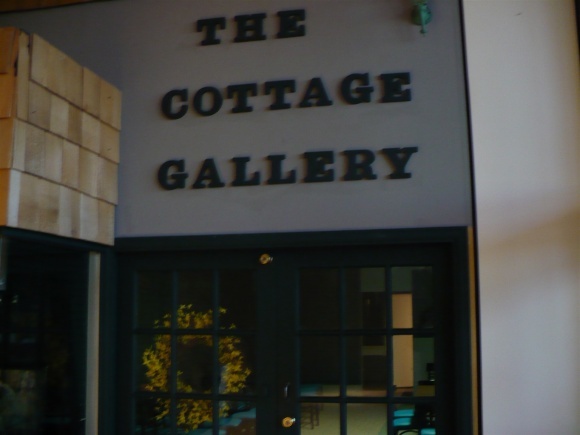 I can’t tell you how glad I am that some pictures of the place will survive. Not sure about the shoe store, but if I had to guess I would say Easy Spirit. I’m also unsure about the cell phone store. I seem to remember it being called something like Spring Communication, but again I can’t be sure. The pizza joint was called Big Papa’s. 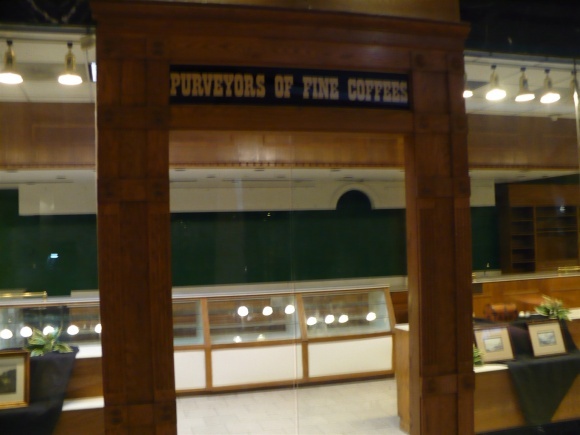 The coffee shop was Gloria Jean’s until around 2001, after that it was a sports memorabilia store of some kind. 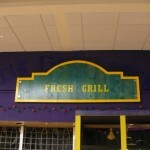 The Fresh Grill was once Los Panchos Mexican Grill. The red tiled food court stall (the picture is tagged Even More Food Court) was The Great American Cookie Company. Unsure about the other, greenish one, (tagged Dead Food Court Stall) it might have been a food court tenant listed as Hot Dogs and More in the 2000 mall directory. The jewelry store (tagged Dead Diamond Store) was JC Diamonds. Unfortunately, I have no idea what the other one (tagged Dead Jewelry Store) might have been, as there were around ten such stores in the mall as late as 2006. The Jewelfire Cafe (tagged Dead Cafe) was Mrs. Fields until around 2007. 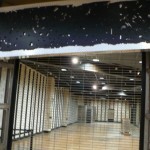 The cafe only lasted around a year. 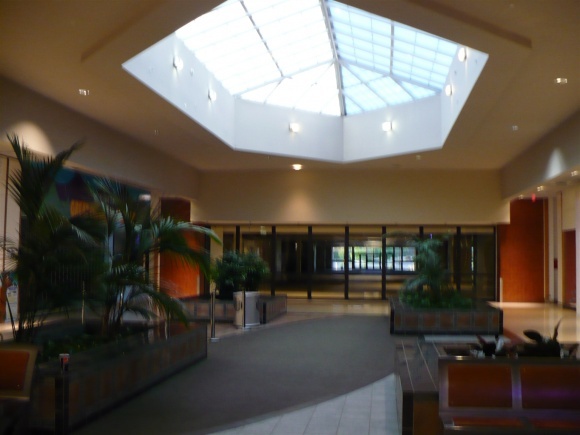 The Southwest Plaza mall was struggling, but has recently started to make a comeback. I would guess it’s now at about 95% occupation. It’s still pretty quiet and dated-looking, but is slowly returning to health as an alternative to the open-air center Aspen Grove. Flatirons is hardly suffering, but the outdoor lifestyle center known as The Village certainly is, due in part to rumored problems with its structural integrity (a massive crack can be seen in the sidewalk around the former Il Fornaio restaurant) and former Village tenants moving into the enclosed portion of the mall. A two-story structure there was recently demolished and replaced with a small playground. 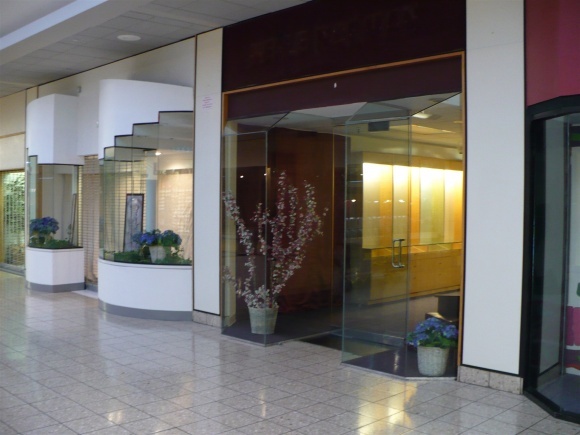 The Lord and Taylor shell did indeed sit vacant for close to five years, but was filled this summer, with half the space taken over by The Container Store and the other half by a Forever 21 slated to open in September. 1) Are you the one who wrote the DeadMalls summary? 2) Gee, the “structural problems” sound sort of like Cinderella City. Is it possible the entire Village will be torn down soon? 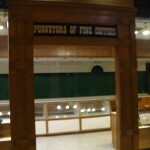 3) Are there any pictures of What-Knots and the arcade there? 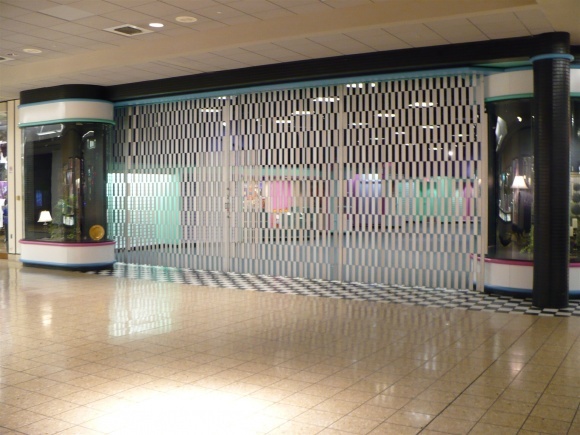 Yes, I did write the DeadMalls piece. 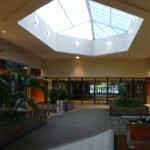 There is a shot of the food court arcade. 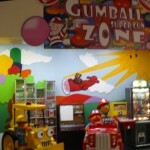 (it’s tagged Food Court Gumball Super Fun Zone) You can sort of make out Bert and Ernie sitting in the firetruck, and I think that creepy laugh comes from them. There are no shots of What-Knots in the bunch. 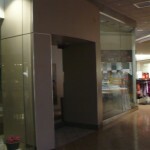 (It’s tricky to photograph because it’s within sight of a mall office). As for the Village, it doesn’t seem terribly likely that it would be torn down, as it’s clearly their show pony and they’ve been shoving the concept down shopper’s throats from day one. I’m not sure of the extent of the foundation shifts, or even if there’s any truth to that story, but it looks to be confined to the very front of the complex. Tearing down the building that they did seems to have been a cosmetic decision; with that particular building gone the Village is now visible from the parking lot and the place as a whole looks nicer with a bit more open space. 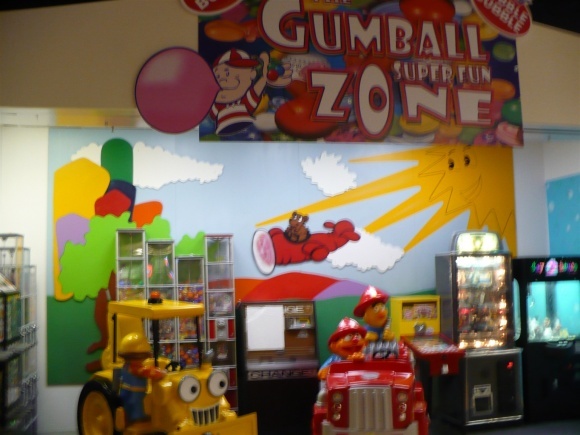 Are there TWO Gumball Super Fun Zones? Bizarre. There are more than that, maybe as many as four or five by now. They keep creeping into vacant spaces. I kind of imagined a dark, dreary arcade with a life-sized statue, made of plastic, that let out a monotone and equally chilling laugh. Maybe like this, maybe creepier. Bert and Ernie make more of a shrill cackle (but that certainly would be unsettling). 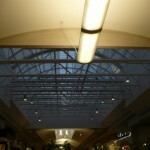 Beautifully written, and beautiful mall, I could feel the emotion coming from the writer. and I predict the same for this. Isn’t this mall owned by notable slumlord Sherman Dreiseszun? Dreiseszun died in 2007; his family still owns the company (MD Management) from what I can tell. 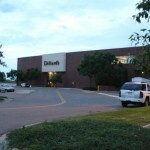 He also owned the former Buckingham Square in Denver, as well as the current zombie malls Metcalf South and Metro North in the Kansas City area. Metro North even had hot air balloons, it seems! 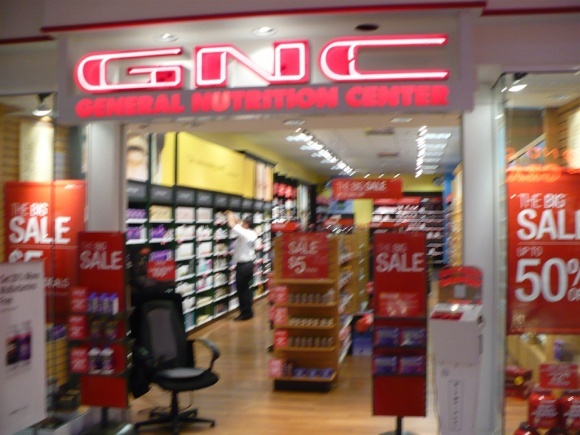 I can’t believe neither Orange Julius stores (yes, there are two) were caught in the photos! 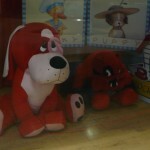 I attempted to take pictures of both, but neither picture came out well, nor could you tell that they were different. 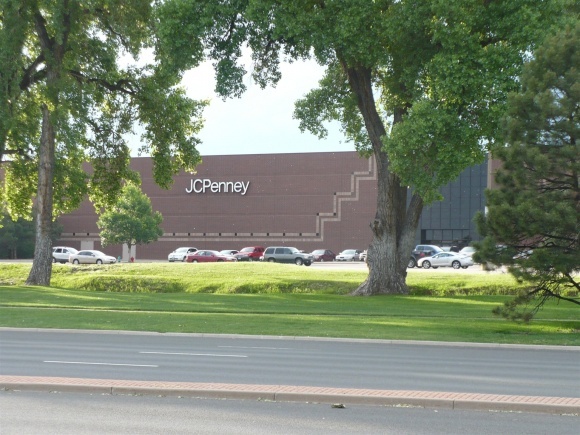 Actually, one of them is visible in the shot called Looking Out From JC Penney. What always struck me as odd about the twin Juliuses is that they are not a symptom of the mall’s deadness; they’ve both been there all along. I remember being baffled by them when I was seven, and my mother swears to me that they were there in the 80s. 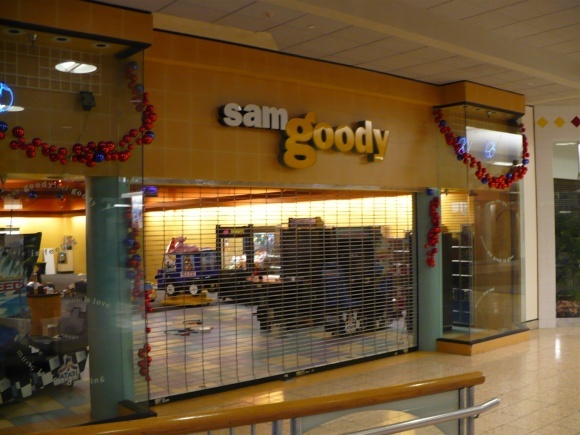 The mall also had two Sam Goodys around 2001. 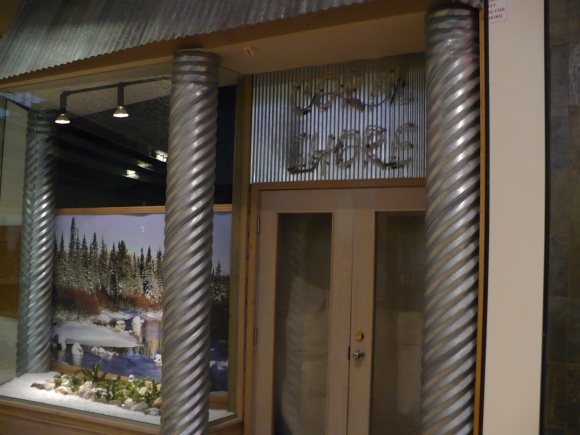 Also, after having looked at the photos again, you can actually see part of the What Knots counter off to the left in the shot called Corridor Outside Food Court. Eh, it happens. 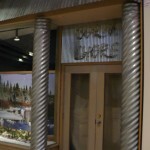 On my Sunrise Mall post, there was a model railroader’s club with the complete lights-and-crossbucks installed on the wooden facade. But the picture came out blurry. Ah well. 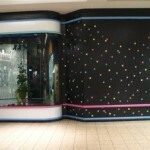 This mall once had a Fashion Bar. Where was it? 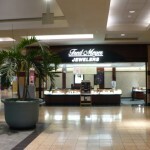 The store in the photo tagged “Dead Jewelry Store” turned out to be Brendan Jewelers. I’m not sure of the exact date the theaters were built, but I do know that they were around as far back as 1980. 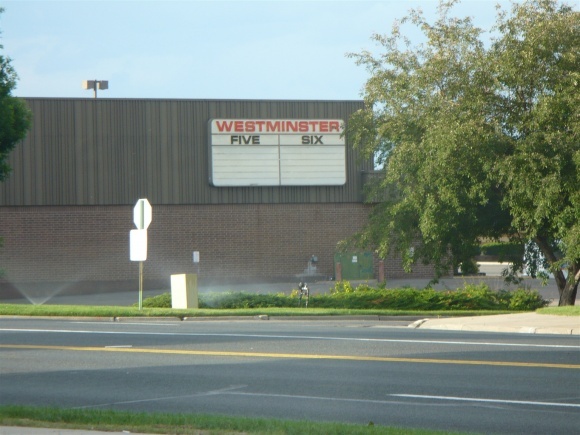 The first movies I remember seeing were “The Empire Strikes Back” and “Superman II” in the outdoor (Westminster Five) theater when they first came out, and the indoor theater was open at the same time. I still have a ticket stub from 1988 when “Who Framed Roger Rabbit” came out in the outside theater ($1.25 for a kid’s ticket!!!) 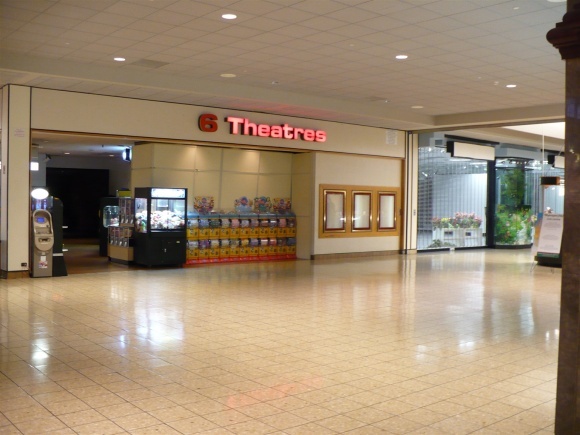 They were probably contemporary with the Buckingham Square and Northglenn Mall models of having theaters either inside or adjacent to the mall complex. I grew up in and near Westiminster, so watching this mall decline has been extremely painful, from a nostalgia perspective. 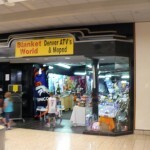 This is the first mall I remember visiting, when it had the Circus World toy store in the Joslin’s wing. I don’t know how much money I pumped into video games in the arcade across from the six-plex, but I could probably pay off my credit card bills with the amount. 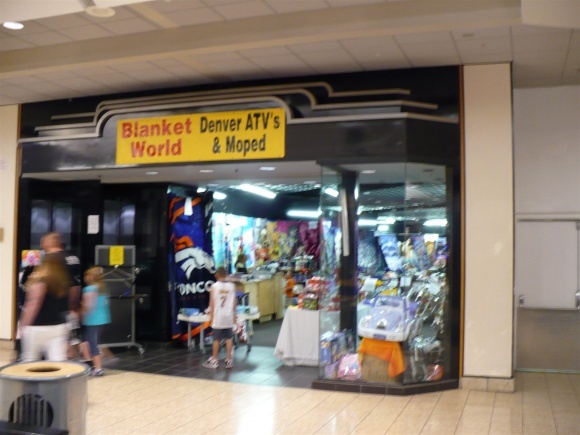 It was definitely THE place to go in the NW Denver area for about a 15-year stretch from 1985-2000. If you were from the age of 10-25 during this period, you found a way, by hook or by crook, to spend time there on the weekends. During the late 1980s, the Olive Garden was a California beach-grill-style restaurant, with an outdoor sand volleyball court to boot; I think it closed around 1991 or 1992. 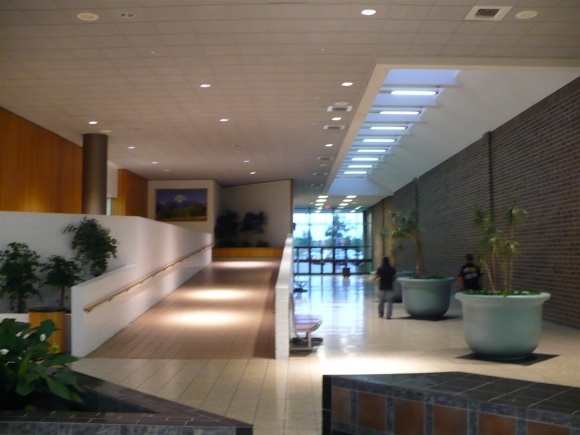 It’s going to break my heart if they tear it down, but I’m sure the people who visited Northglenn Mall in the 1970s felt the same way when that place deteriorated and was finally torn down. All these things come to an end, eventually. 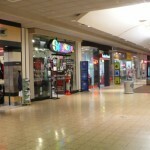 Damn, I’m amazed how many older-looking storefronts are left in this mall. 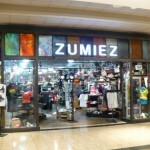 The Zumiez one really stands out to me, since I’ve very rarely(if ever) seen that store design. This is a sad looking place, and very bizarre as well. Particularly pitiful are the stores with banners just tacked up over the signs of old tennants, and the out of business stores with pointless displays set up inside. 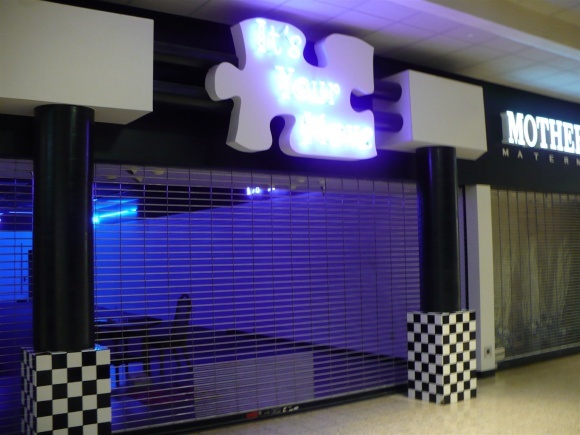 There seems to be very little effort on the part of the ownership/management to conceal this mall’s “deadness”, with several former tennants’ signs still being displayed above empty storefronts, and the aparrent spread of dead space between occupied stores. I can’t imagine why they wouldn’t, as someone else mentioned above, attempt to compress existing tennants into one end of the mall -including anchors if possible- and either seal off the other end, find alternative solutions (Church in the mall, anyone? ), or call in the bulldozers. Seeing the state of this place, I wouldn’t be drawn back to it for any purpose other than to gawk at its utter sadness. Or maybe to pick up a blanket and an ATV because it’s just so convenient to do all at once! This place makes me a little sad, and I’ve never even been. I think that much of this laissez-faire treatment can be blamed on distance. 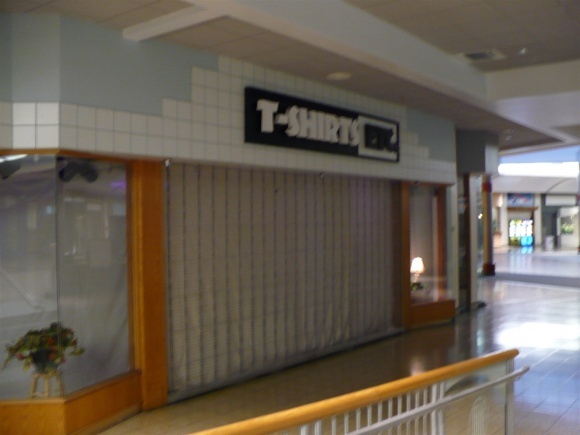 For some reason, Westminster Mall Co. (the entity that apparently owns the mall) is based in Kansas City. 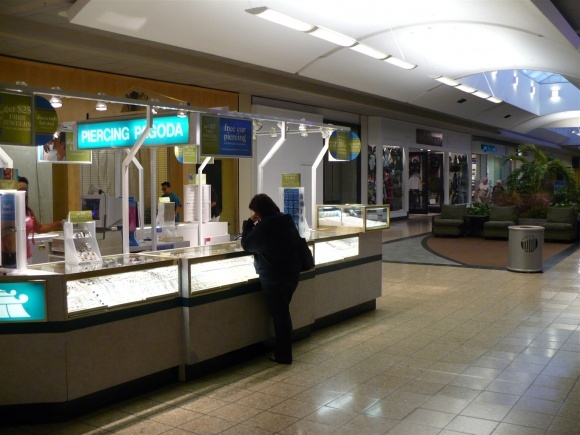 It seems to me that the key to successfully repositioning the mall is understanding the specific demographics of the surrounding neighborhood, so this creates problems. I agree that consolidation is in order. The mall could really do without the Macy’s wing in particular. The Dillard’s, Sears, and JCPenney wings are well populated enough (admittedly not with the most A-class of tenants) and the deadness of the Mervyn’s wing isn’t as problematic because it isn’t visible from the center court. Because the Macy’s wing is one of the more long and prominent corridors, its utter emptiness except for Pet City makes it positively scream, “This right here, is a dead mall.” Also, the arcade in the lobby of the former theater (Gumball Zone #3 for those of you keeping score at home) is becoming more and more of a focal point for the “riff-raff”. If consolidation is for some reason impossible (some tenants, such as Pet City, couldn’t be relocated without considerable renovation of the new space) I can maybe see this place being used temporarily (until the worst of the recession is over) as an informal “overstock” mall. 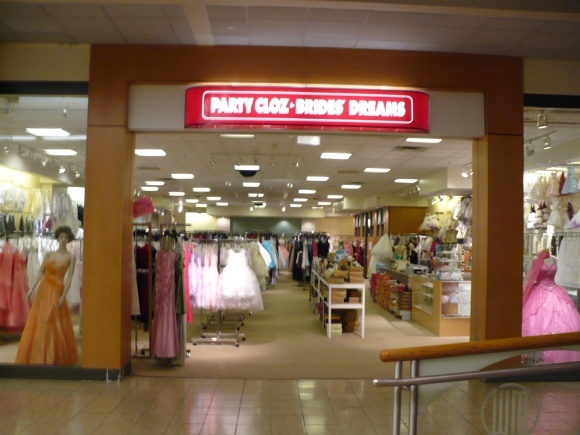 I suppose what I’m suggesting is that chain stores take over the dead storefronts without really transforming them and use them as places to sell their clearance/excess merchandise. I say this mostly because the Dillard’s is already being used this way and appears busier than it has in years, and the Disney store has recently re-appeared directly across the street from the mall selling overstock merchandise at a discount of 85%, which seems almost silly to me given that their original mall location is unoccupied with all the original decor and fixtures still intact. That would be cool and it would complement Flatiron Crossing. It seems perfectly sensible to me (they could formalize the “outlet” model once things are less grim economically). 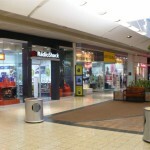 Of the mall’s two “competitors”, the Mills is definitely the one to target. Westminster isn’t connected to the Mills by any highways the way it is to Flatirons, and Westminster would be much easier to transform into a Mills-esque mall than a Flatirons/ Park Meadows type place. (The balloons are already somewhat Mills-like.) Also, outlet stores have always been held in high esteem around here (before Colorado Mills, it was not unheard of to drive out to Loveland) and people would appreciate having them nearby. I’m actually at Westminster now posting on my iPhone. 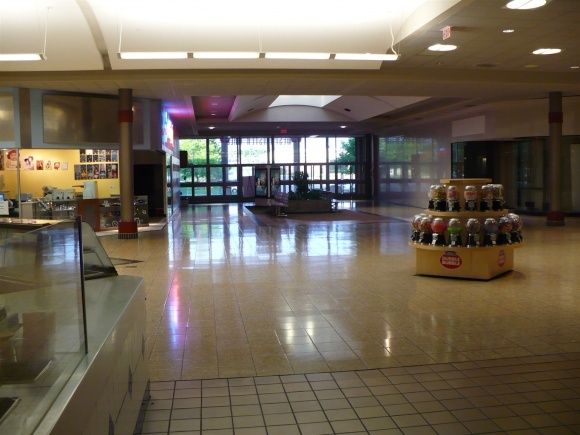 The mall isn’t as dead as I thought, but it’s definitely in big trouble. 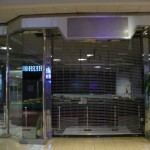 As you can see in the pics, a lot of national chains have closed to be replaced by local stores. 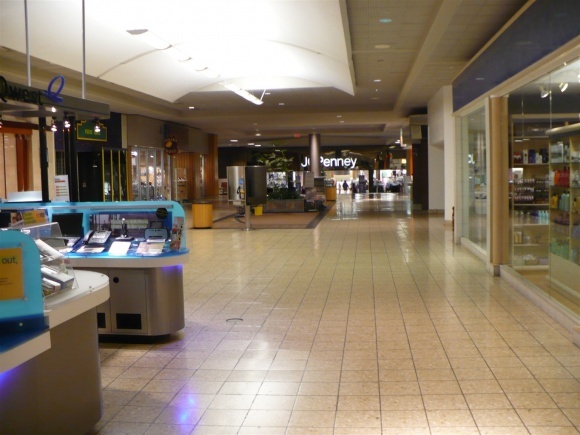 There are a fair number of people walking around, and the number of totally vacant stores isn’t as high as I thought either, in certain parts of the mall. 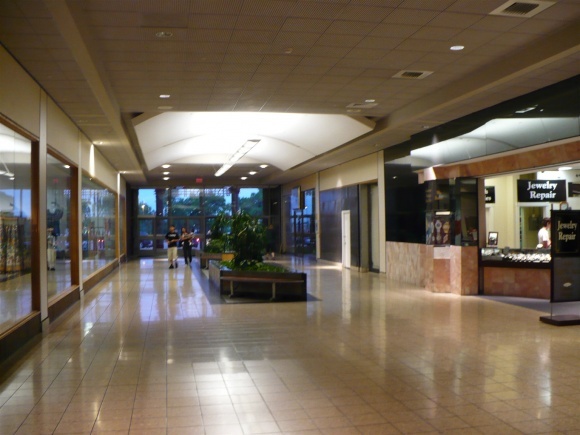 The Dillards wing and the area around center court has the most activity, and the parts of the mall nearest the dead anchors are very troubled and mostly vacant. 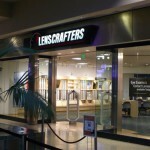 The LensCrafters customers must be annoyed the store is at a dead end by the former mervyns. 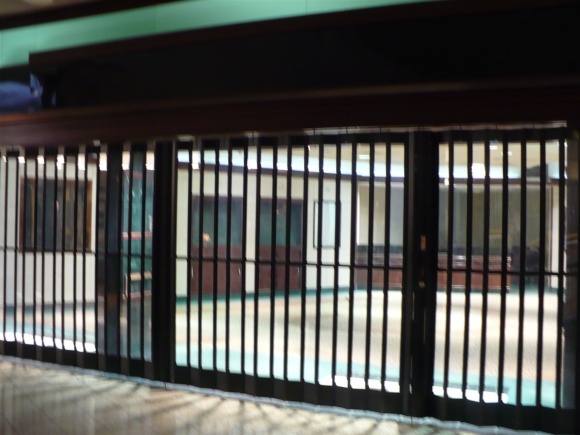 I am also kind of surprised nothing ever took the dead Wards, now closed over 8 years. 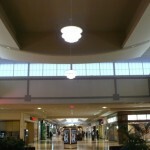 In addition, i dont think the pictures covvey the huge size of this mall. The smaller hallway between Dillards and Macys would be a decent sized mall in itself, and the longer cross hallway is about twice that length! Overall, the place is pretty clean too. Ok, walking and typing is making me dizzy, so I’ll end here. 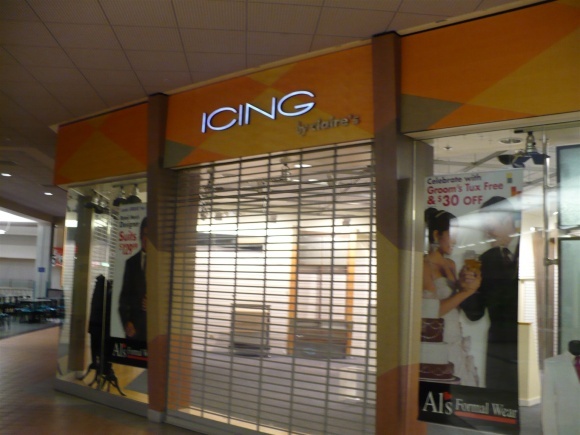 It sounds like the inflexibility of the mall space (not to mention the owner’s lack of imagination) and the size seem to be part of the death spiral of this mall. 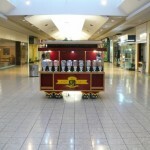 A non-enclosed mall setup would be easier to re-purpose. 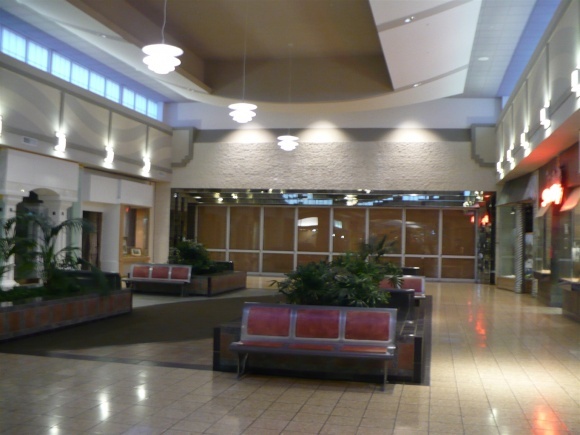 It’s a good example of why, even in the absence of a recession, developers practically quit building enclosed malls. They were a no-brainer investment 30-40 years ago, now they’re a big risk with enormous downsides. 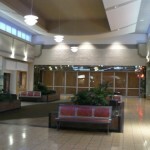 That said, these pictures are very striking, because it looks like almost 2 completely different malls! 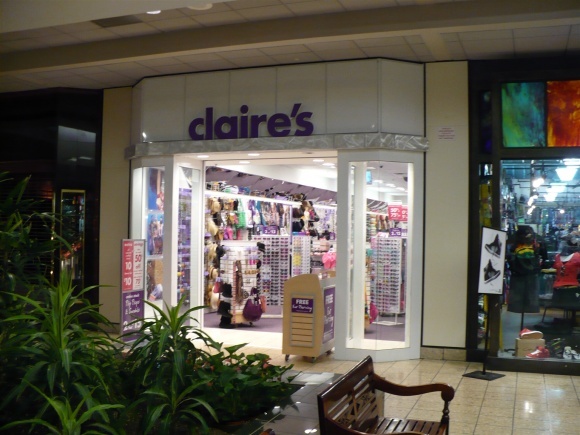 It seems like the stores that are open have at least some strong names (Victoria’s Secret, Claire’s), and they look very nice, clean, inviting, etc. 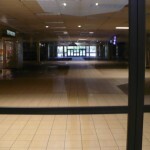 But the stores that are closed are so desolate and chilling, especially with the lights still on in half of them. 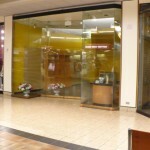 The “Dead Jewelry Store” looks like a former Gordon’s. Kind of sad. I worked at this mall in the late 80s and early 90s…first at WaldenSoftware and a couple of years later at Joslyn’s, both on the same wing. 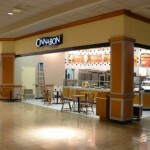 I remember sneaking out of work to grab a Cinnabon when I had a few minutes. One of my best memories is the trick-or-treat WM would host for kids during Halloween. We’d stand out in front of our stores and pass out candy and such. I also greatly enjoyed the car shows that would take place on the occasional weekend. I was in charge of opening the store on Saturday mornings and was sometimes astonished to look out my storefront and see antique automobiles driving by. Even as a young kid my mom would take me for ice cream and we’d sit and watch the balloons. 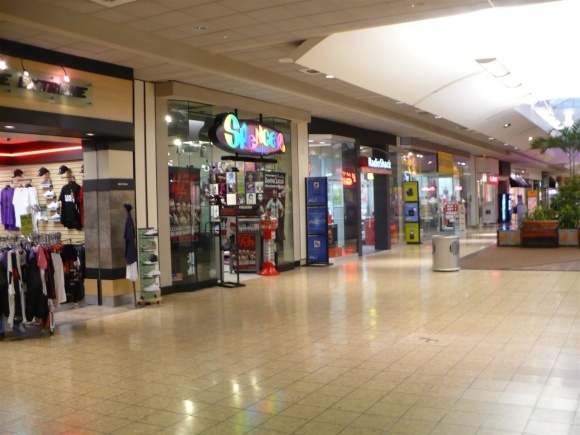 Even throughout my teens I have lots of memories of wandering around the mall, seeing movies, playing arcade games, cruising around the food court (anyone remember Big Al’s? ), and just plain having fun. 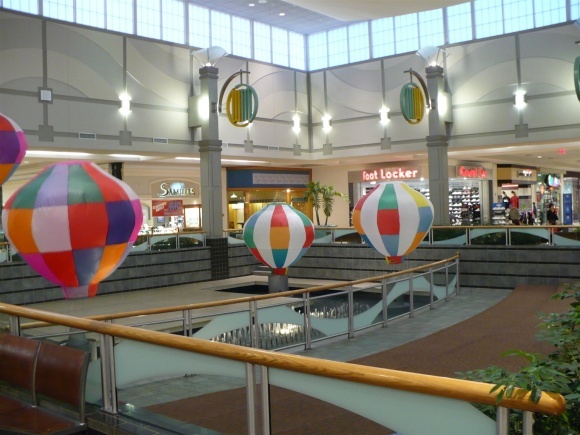 Odd that a mall would be a venue for growing up, but that’s kind of what it was for me. 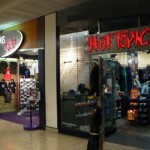 I just visited this mall today and I was really surprised. 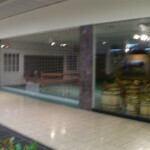 One of my friends works in the mall between JCP and Dillards and I just had to see the deadness for myself. 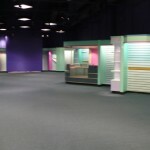 I recently moved here from Illinois where my childhood mall (Randhurst) just died. 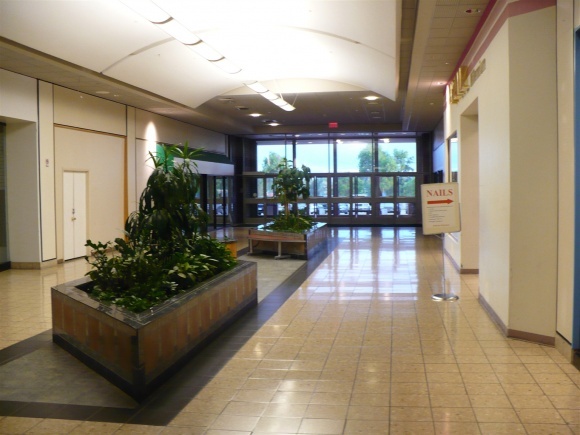 Unfortunately I didn’t get to see it in the last 6 or so years before it finally got torn down this year so I wanted to see what a dead mall looked like. First off, it really is weird seeing two Orange Julius places so close to each other. 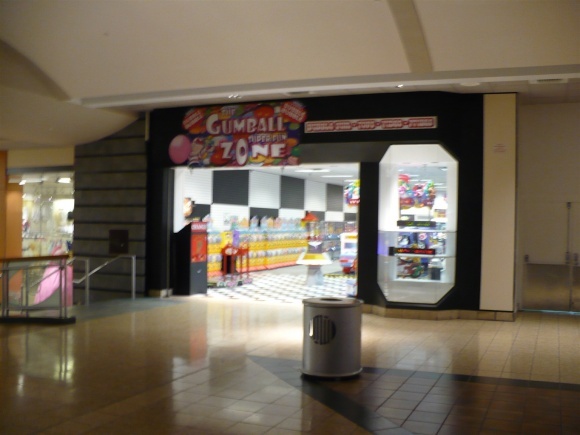 Second there are three or so gumball stores. One in the entrance of the old theater which contains some classic arcade games that have auction tags on them (Lethal Enforcers anyone?) near the Macy’s wing. 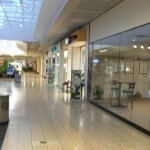 One is a couple stores south of the food court, and one is in the food court. 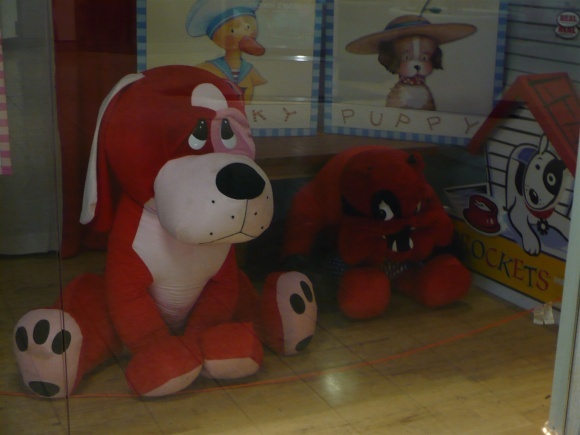 The mall really is in a sad state. Except for the space between Dillards and JCP, and a few stores north of the main area, you can probably count the stores on one hand. 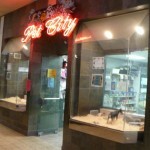 In the Macy’s wing there is the pet store. After Sears the only store is a Lidz until the food court. 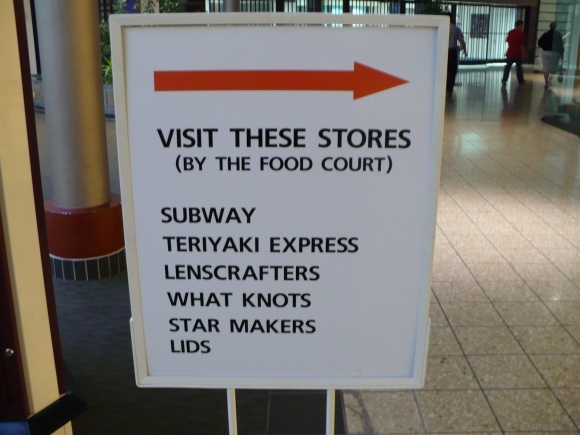 Then north of the food court which only contains a Teriyaki place, subway, and What Knots, is a lens crafters and a place you can make dog tags. In the same wing (dont know what the anchor was) are two stores that creeped me out. One has a huge train set in it and the colorado themed kids play area pictured above. Both were closed and I was there around 4 o’clock. 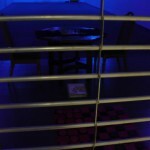 It’s Your Turn is also pretty eerie with the blue lighting and chess setup. I’ll probably be back in a few years when the place is totally closed and you have to sneak in. 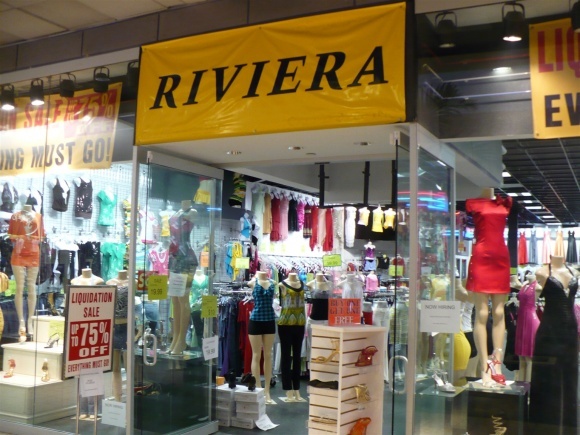 This mall did not fail because of economic factors. In some cases they were merely a victim of circumstances. The Montgomery Wards was rank #1 in the country. 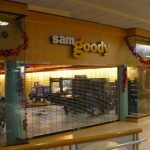 Suncoast, Sam Goody and Musicland were all ranked at the top of their company. in the mid-90’s Musicland was consistently a top performer. Then all 3 companies were bought by Best Buy and subsequently closed. KB Toys was the #1 store in the nation. Sleep Number (formerly Select Comfort) was top in it’s company. And those are just the stores I have direct knowledge of. 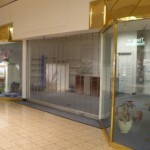 Countless others closed on a corporate level and had nothing to do with the performance of the Westminster Mall location. 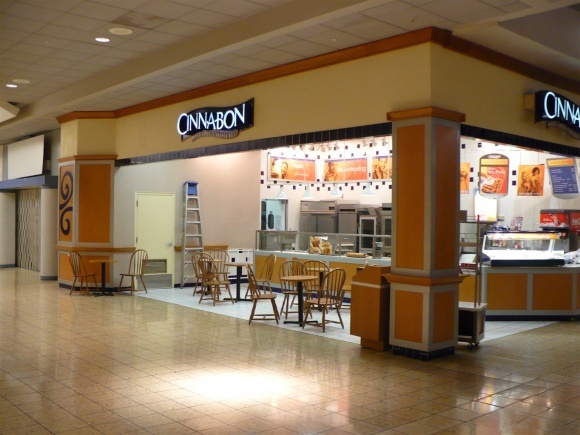 The rest of the downfall of this mall can be placed squarely on its ownership. Part of the problem is an impotent management. The manager is a old lazy dinosaur that has been around for decades. When you look at successful malls, they are normally managed my young and ambitious types. 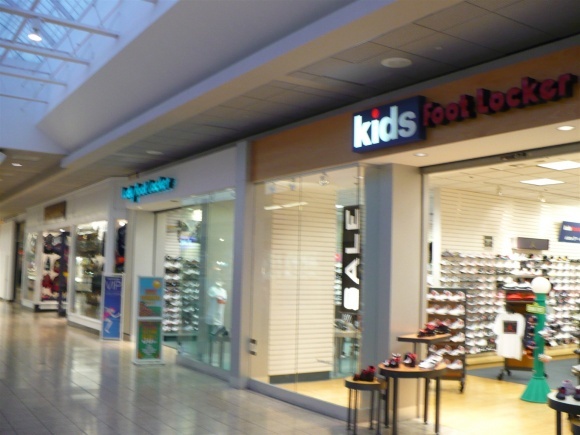 I think due to their success, they were so used to tenants falling in their lap, that they never went out a recruited stores once the leases declined. Other terrible decisions have been made. 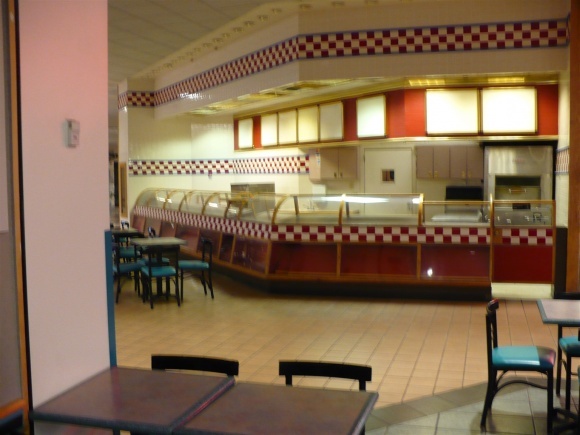 During its heyday, ownership refused to allow major nationals in the food court. Can you imagine? They wanted local independents. The logic behind that is just absurd. 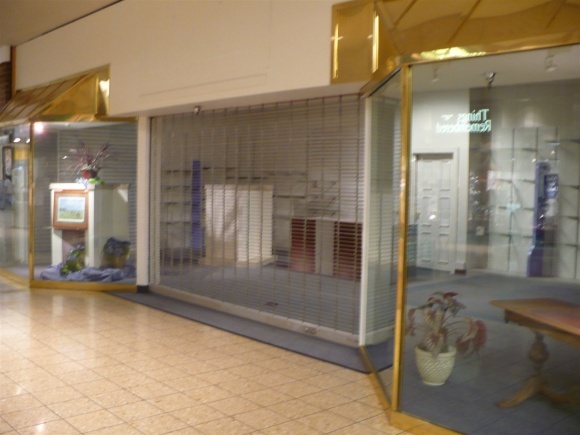 Also, when a store would close, rather that work to fill the space, the mall would be content on letting it sit empty and collect the rent that was due to them. 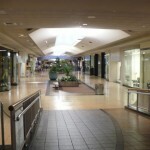 Stores would leave with 3 years on a lease, and the mall wouldn’t allow a new store to occupy it until the lease was complete. I sincerely hope they do not turn Westminster into an outdoor mall. Those just don’t work. All over Colorado, the new lifestyle centers are struggling. 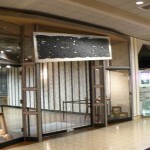 Hopefully they just knock down the entire Macy’s wing as well as anything beyond Sears. The parking lot is a asphalt jungle. They could turn that into a strip mall, movie theater or even residential. 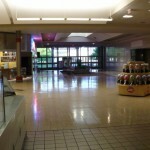 Very sad to see what Westy Mall has become. 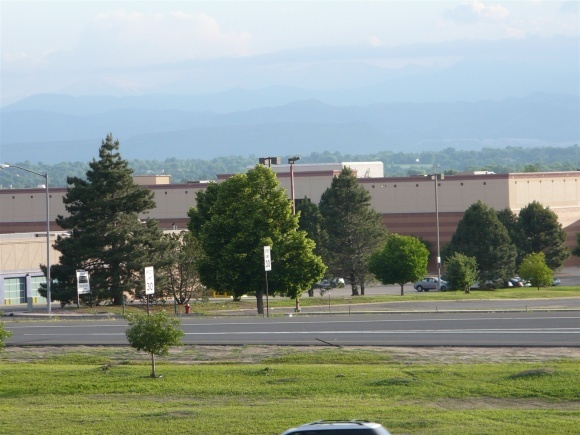 I visited Westminster Mall for the first time in around 1996 when I had just been hired by MOntgomery Ward/Crossroads Mall in Boulder. They sent us to Westminster for training in their new store (site says 1997 but I know I worked there during my last year of high school which was 1995-96). Anyway, I do remember that the mall was packed at that time. 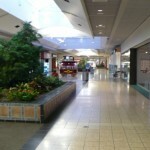 I re-discovered Westminster Mall in 2004. Both theatres were still open at this time, and both were first-run theatres, but featured lower than normal ticket prices. I remember seeing Open Water, Farenheit 911 and Robots there with my toddler! The Disney Store was our favorite place, and was always, always packed. My son was also totally enchanted with the hot air ballons. 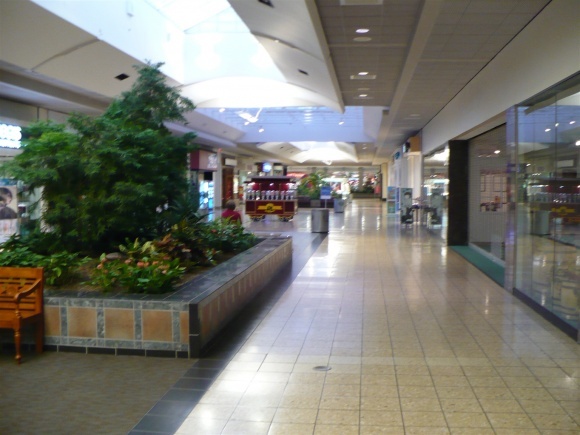 That year, 2004, we did the mall trick-or-treating as well as our Christmas shopping there. It was busy. Not packed, but definitely crowded and busy and I got no sense that it was on its last legs. 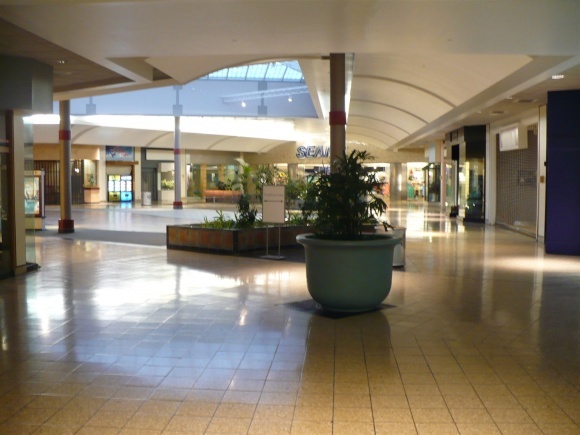 I remember walking down the mall by the theatre, down to the Disney Store and thinking “well, this is a huge mall, there must be some more stores here, right?”, and starting to head down to another wing, only to find the stores mostly empty. 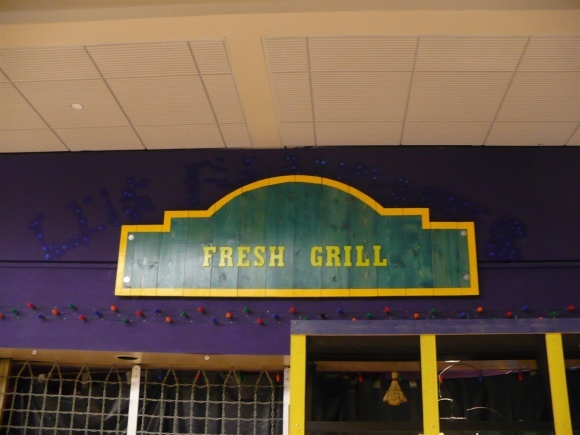 I also remember that I didn’t even find the food court the first time I was there, and when I did, being greatly annoyed that there was virtually nothing there to eat, and it was situated in a kind of dead-end, poorly lit alcove. There was a very strange children’s toy shaped like a mushroom, and the child could go in and it would spin and play music. Weird. It feels like i was just there yesterday…I can’t believe that in the less than five years since I was last there, 50% of what was left then is now gone. This is so sad to me. I went to high school in Boulder, and of course my high school mall Crossroads was razed and rebuilt as the generic lifestyle center. I wanted to share the fun of a mall with my son, and I just don’t think it is really possible anymore. 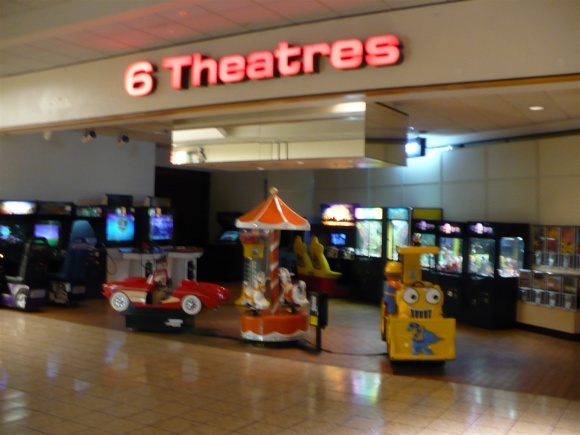 And malls were like virtually the last place arcades were welcome, now all we get is a bank of a dozen overpriced movie-theatre arcade games. Where will my son hang out in high school? Walmart???? 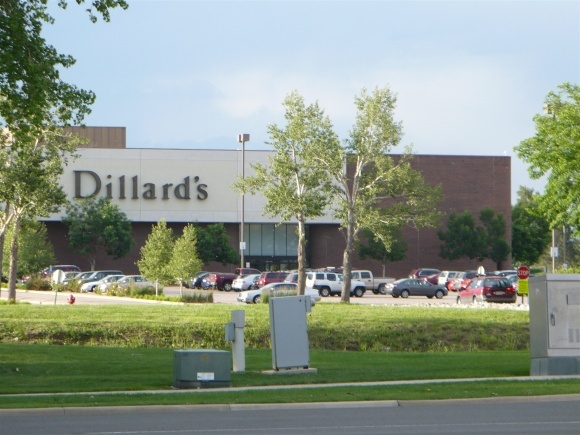 Dillard’s has no official plans to close. They have, however, been officially converted to what they have unofficially been for years. 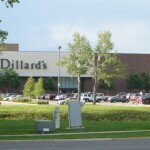 They are now prominently advertised as a regional clearance center for all the local Dillard’s outlets. Since the changeover, they have closed off the upstairs completely. (The escalators have been turned off and barricaded.) 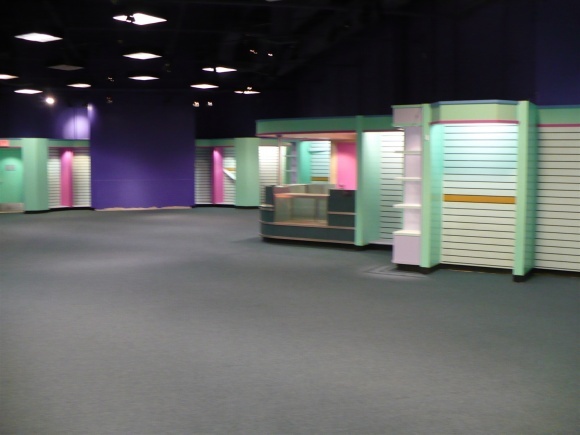 They then tore out the jewelry and cosmetics counters to accommodate all the clothing and moved the home goods (linens, dishes, what have you) into what used to be the junior department. 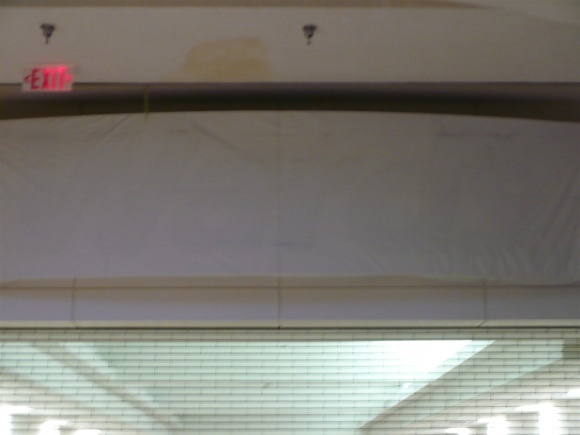 They have also sealed off the mall access from the junior department, leaving just the main mall entrance remaining. 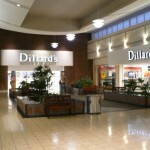 (For whatever reason, Dillard’s and Joslyn’s before it had two mall entryways adjacent to each other.) 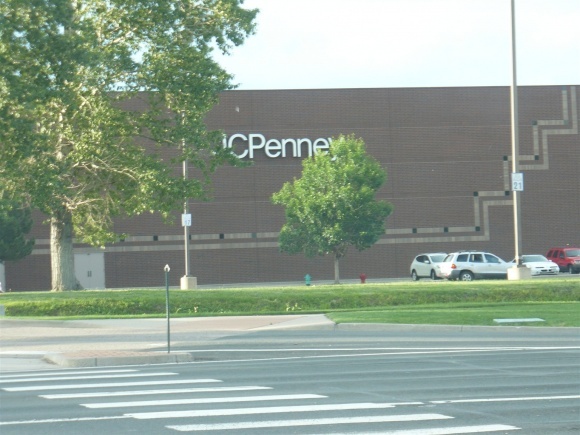 Sears and JC Penney are still full-line, two-story department stores. 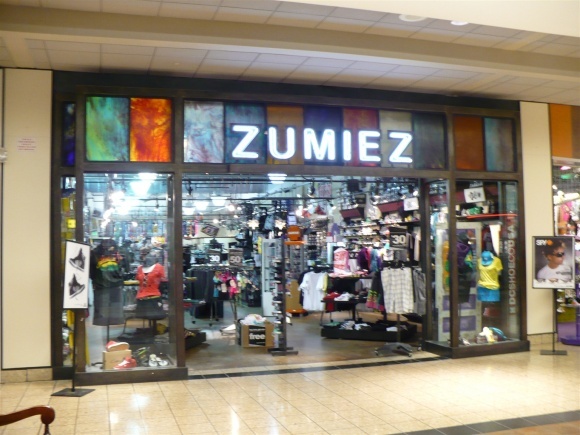 Zumiez and Trade Secret both threw in the towel before Christmas. They were replaced through the Christmas season by The Tie Guy and The Perfume Shop, respectively. Aspen Coffee is selling off its fixtures, and will then presumably close. Star Makerz, aka that creepy glamour shot place across from What Knot’s, closed. 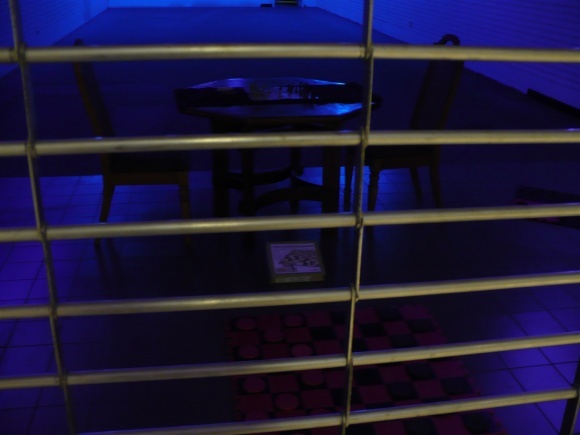 Some of the creepiest photos taken there have been left in the storefront as its “we’re closed” display. 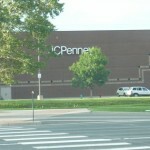 One of the twin Juliuses (the one in the photo “Looking Out from JC Penney”) finally, finally closed. A caramel-corn store called Corn Ltd. opened in the former Chick-Fil-A. Their machines make a creepy rustling noise and they sell these mysterious red popcorn blobs with big googly frosting eyes. They look like the popcorn you could be saving with Geico. It remains to be seen if they are just a temporary holiday tenant. 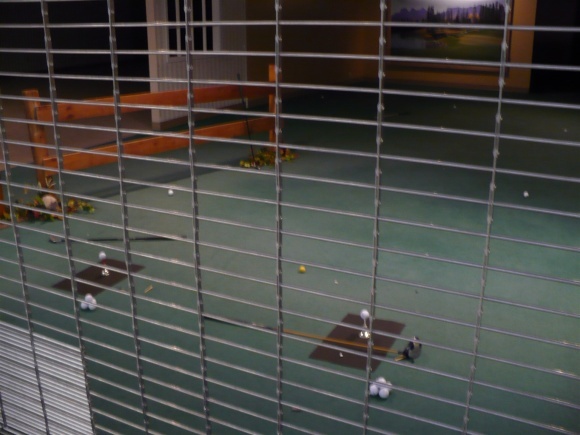 Ironically, an actual golf course (“eXtreme Minigolf”) opened in the Woodley’s space, complete with the scariest gorilla statue you have ever seen. 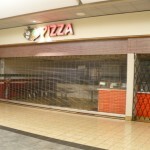 The last three tenants have closed, leaving the food court officially abandoned. What Knots pulled out sometime in November by the looks of things, taking the innovation of the sprinkle-covered pretzel with it. 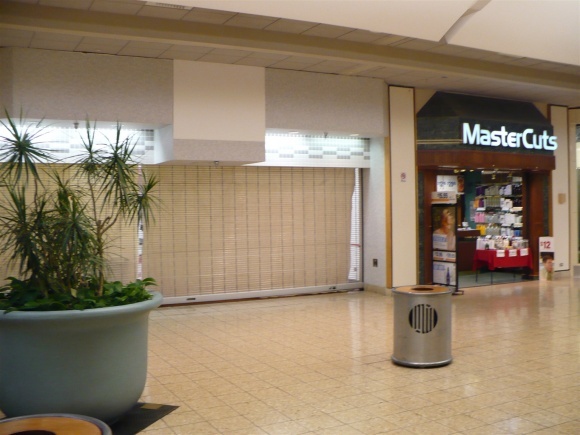 The final two hangers-on, Subway and Teriyaki Express, both closed up shop just after Christmas. 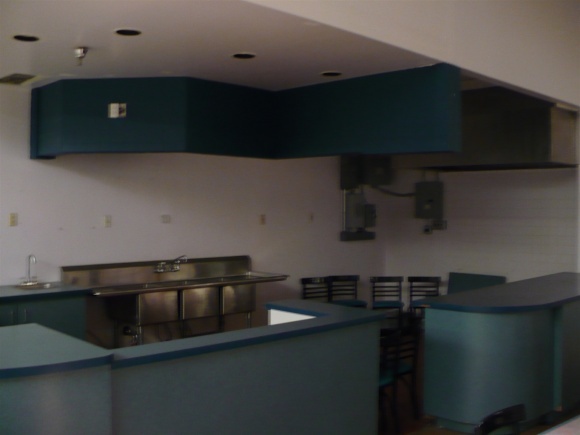 I had a bit of an epiphany and remembered that the greenish food court stall in “Dead Food Court Stall” (on the other side of What Knots and also not a lettered space) was one of two Dippin’ Dots places. 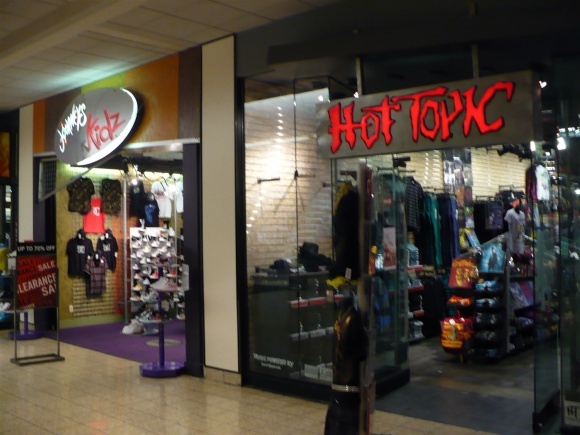 Both left the mall in 2004 (the first major exodus) along with KB Toys, B. Dalton, Gloria Jean’s, and San Francisco Music Box Company, among others. 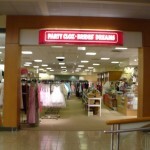 When I looked at it from just the right angle, I noticed that “Dead Glasses Shop” had a faint Merle Norman labelscar. @Sandra, A&W would’ve been the same as Hot Dogs & More. 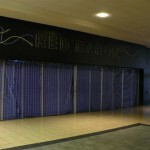 Looks like change is very slowly coming, albeit there are no plans to close the mall as of yet. 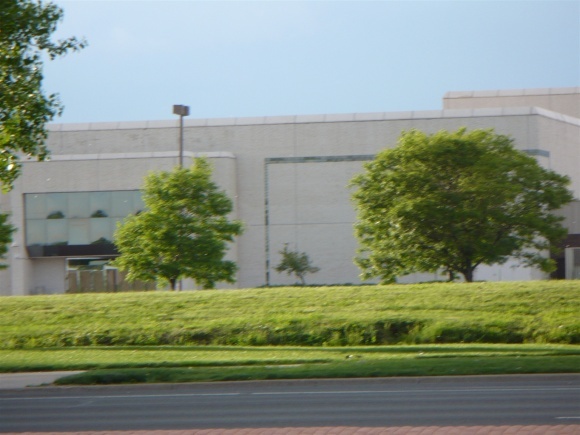 The City of Westminster Economic Development Authority on January 27 acquired the vacant Macy’s store at the Westminster Mall property, the latest step in the city’s long-term strategy to revitalize the area. 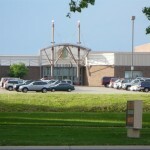 Cost of the 157,000-square-foot building, which sits on 8.43 acres, was $700,000. 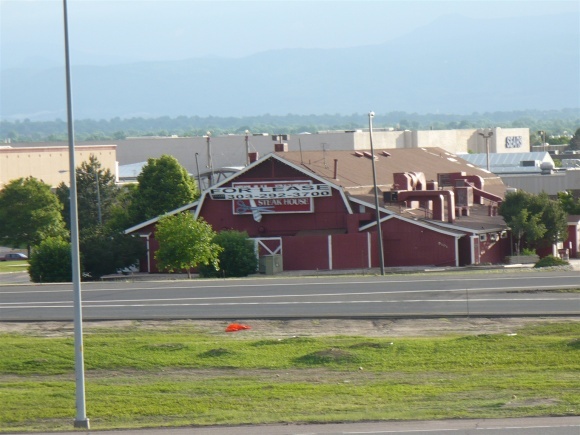 WEDA has also acquired the former Trail Dust Steak House on the mall site for $727,103. 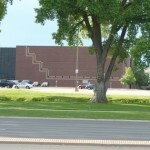 The Trail Dust building is slated for demolition in early March. There are no immediate plans for the Macy’s building. “With these steps, and the others we have taken, the message to the community is clear: We have a vision for this property and we’re moving ahead to make it a reality,” said Nancy McNally, Westminster mayor. The goal of the Westminster Center urban reinvestment project is to develop a high-density urban center of regional scope on the 108-acre parcel currently occupied by the Westminster Mall. Both properties were acquired after the city was approached by interested sellers, according to Brent McFall, Westminster city manager. “This was an opportunity for the city to take a positive step in moving forward with our vision for this important project,” he said. The city is currently negotiating with a developer, Steiner + Associates, to partner on the ambitious project, which will include entertainment, office, residential and cultural, along with a strong retail component. Went and took some pictures with some friends. They’ve gotten quite a bit more relaxed about the picture taking, seeing as that’s about all anybody does anymore…the security guard just warned us to make sure to always have a person in the picture somewhere. 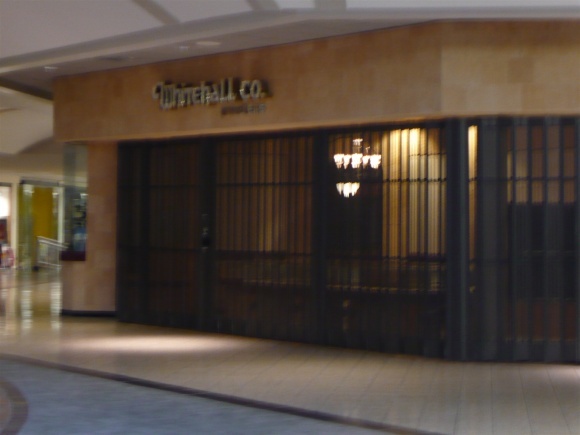 Dillards no longer has an entrance into the mall in the evenings. 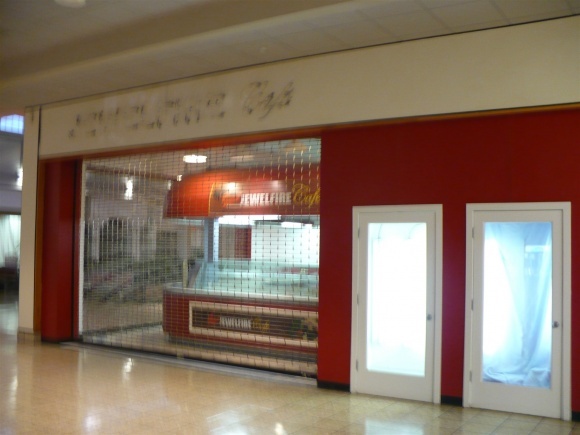 The food court is completely closed off, nobody is able to enter it. 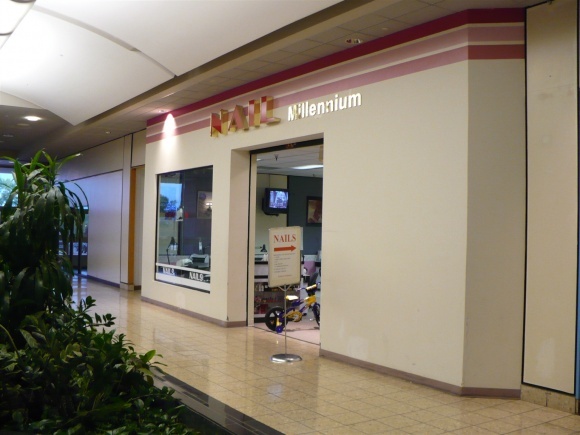 Some of the chairs were removed from the food court in order for the mall to do one of it’s bizarro post-modern empty storefront projects (making a dead hair salon look like a conference room). 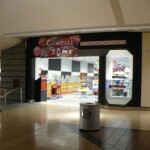 Super Gumball Fun Zone lacked change to even play the games. I had to go to Corn Ltd (the crazy popcorn place in the former Chick-Fil-A spot) and buy a soda to get change to play the falling apart video games. The soda was awesome! 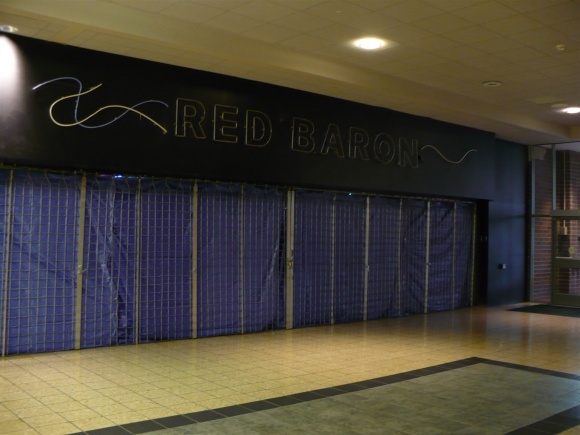 There’s still a few arcade machines in the old Red Baron, which, I’ve learned from this site, seems to be a staple of Dreiseszun malls. 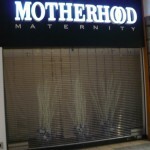 We were able to see them thru a tear in the tarp covering that storefront. 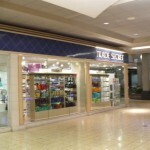 According to the http://www.shopwestminstermall.com/mainpages/alpha.shtml store listing, there are 34 inline stores, 2 kiosks and the 3 anchors. In a lot of ways, this place reminds me of what Summit Place Mall was like a few years ago, only the leftover tenants there were scattered all about instead of almost entirely concentrated in one wing. The directory is a bit out of date. 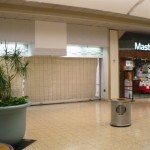 Lids is gone (it was the last retail holdout north of Sears, leaving only LensCrafters and about 40 empty storefronts). C&C market Research is gone (it was in the Macy’s/Theater area), Underground Station is gone, and I think FT Casuals may be closed too. 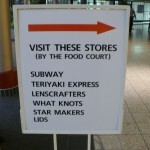 It also doesn’t list Corn LTD or the mini-golf place. Though those might have closed in the last 1.5 months since I’ve been there. There is a PDF up of the proposed redevlopment. 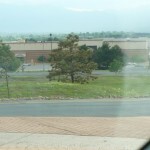 It looks like they’re planning on keeping the Sears, JcPenney’s, Dillards, and Macy’s anchor buildings, and demolishing the rest of it, including the strip mall across the street, to make it into a new urbanist redevlopment — kind of an ancillary to the Interlocken area near Flatirons, with a bit of Bel-Mar thrown in. 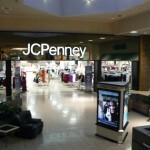 Sears and Penney’s are probably OK to stay there, as neither chain has another store within atleast 15 miles. Macy’s has expressed interest in coming back if they were to redevelop (idea: new Macy’s at Westminster, bring Bloomingdale’s to CO by changing Flatiron store from Macy’s to Bloomingdale’s). 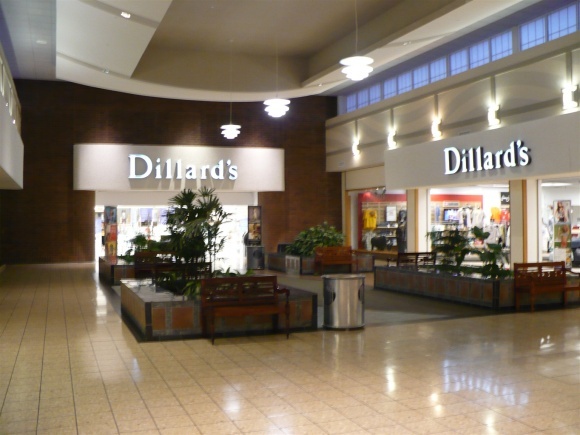 Dillard’s would likely need to either go back to being full line, or be replaced by something else — exactly what I’m not sure of. 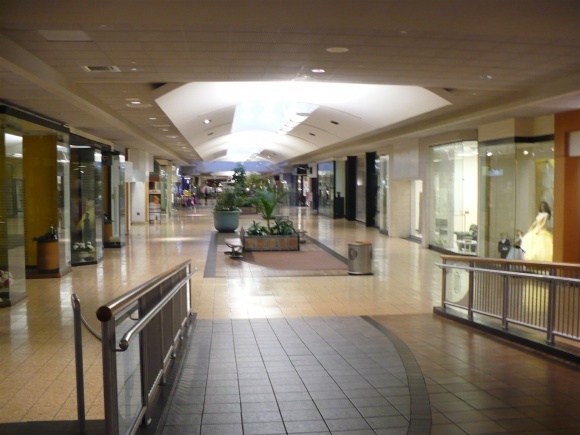 what killed the mall? it was that way when I went here 2 months ago. 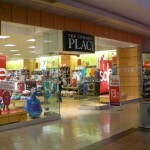 We visited the mall in late June,2010 while staying in a nearby hotel while on vacation.JCP and Sears were still open and you could still walk about anywhere in the mall.It was quite interesting and kind of creepy.I remember noticing 2 or 3 other spaces filled but that was it.I asked a Sears manager what was going on and he told it was going to be ” revitalized” in the near future.I have never seen anything like it-it was still in very good condition. Oh, and Rainbow. Can’t forget Rainbow. I moved to Broomfield, Colorado, which is a city right next to Westminster, in 1993. 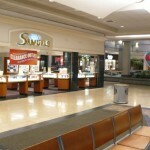 This is the mall that is closest to where I live. I remember it was one of the first places I went to, when I first moved here. 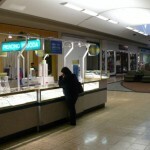 I even bought my husband’s wedding ring in the Helzberg Diamonds store in this mall. 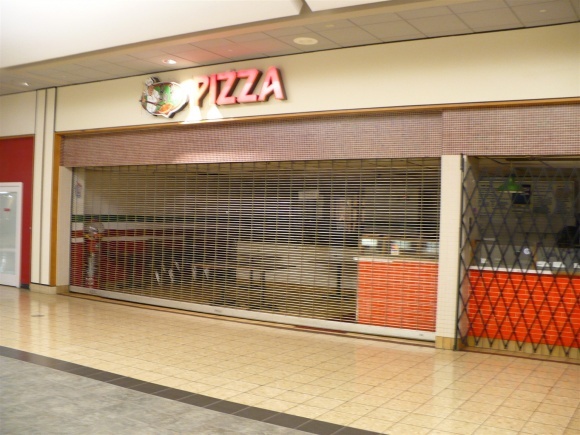 The pizza place in the food court up until the early 2000’s was called “Cozolli’s”. Being from Connecticut, I thought their pizza was the closest thing I could get to the pizza I used to get at my favorite place in Wallingford, Ct. It is still the best pizza I could find in Colorado. 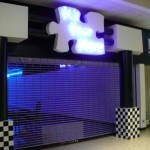 The food court also had a burger place called “Big Al’s”, which took it’s name and decor from the “Happy Days” TV show. It had the actor’s face who played Al on the TV show on the sign over the stall. 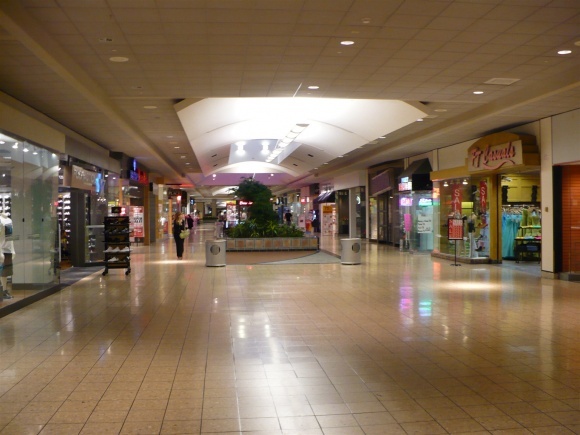 I am so sorry to see that this mall is dying. I’ve been to Flatirons Crossing several times, and while it is a beautiful mall, sometimes the size of it is overwhelming to me at times. Oh! 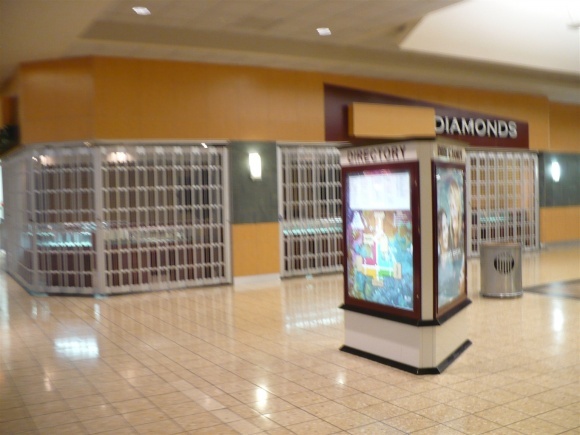 Didn’t there also used to be a Colorado DMV booth in this mall, where you could renew your driver’s license? I guess that’s gone too? 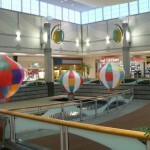 Does anybody else remember the same Westminster Mall commercial that would play during every Christmas season? “It’s that special season of the year….” With a guy singing who sounded like Louis Armstrong. I miss that commercial! They played it every year, for so long. I grew up here in Denver Colorado. It is sad that all the malls are going outdoor or lifestyle as some call it. 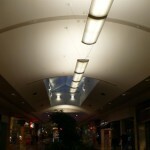 Indoor Malls are a great place to walk when the weather is bad. I know my mother walks indoor malls when the weather is bad or cold, and I worry for her. 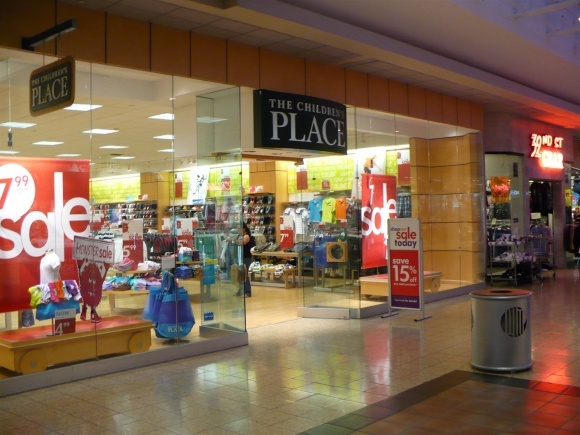 If Westminster mall is turning lifestyle with Southwest plaza on it’s heels, there will only be 3 indoor malls in the Denver area, Cherry creek and park meadows, and flatirons. 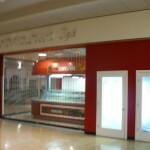 I was sad when Villa Italia went lifestyle, I hate to see it happen to Westminster Mall. There’s also still Town Center at Aurora. I don’t see either it or Southwest Plaza going lifestyle center any time soon. Neither one is exactly A-class, but they’re both about 75-80% full and doing decent business. 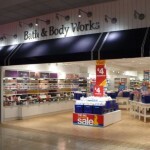 Southwest seems to be moving a lot of it’s longtime and larger tenants to bigger store spaces. 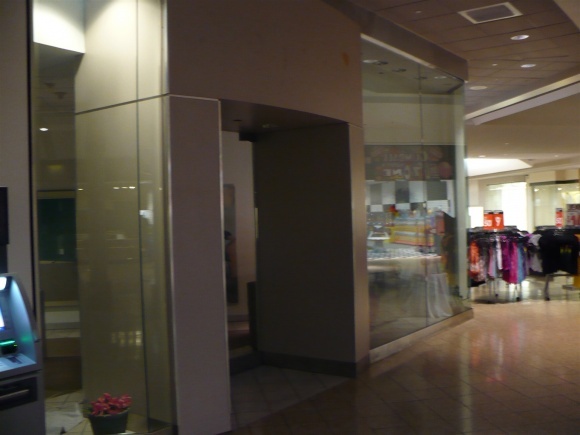 I was there a few weeks ago and saw that they were moving the Gap and American Eagle to larger store fronts. Probably easier to get these stores to fill bigger spots and get smaller businesses and chains to take a risk on their old storefronts. It looks like we’re approaching the end. 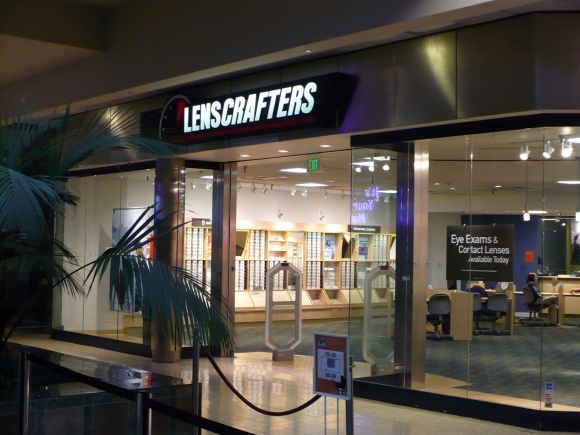 The Lens Crafters over in the Mervyn’s wing has finally closed. 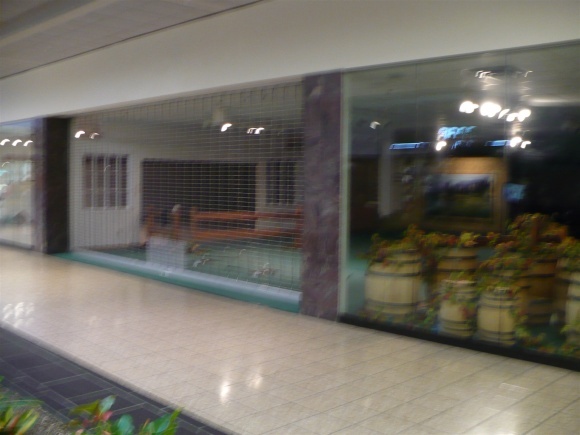 This leaves the only non-department stores in the place localized in the Dillard’s wing, except for Pet City, Things Remembered, and Corn Ltd. All in all there are maybe ten functioning stores in the entire mall, which was once one of the largest west of the Mississippi. 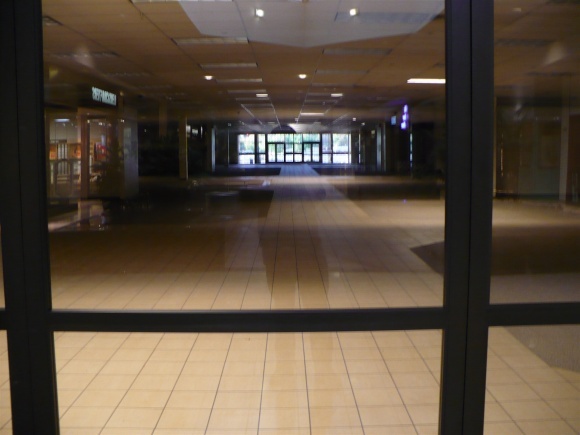 The remaining stores look to be just waiting out their leases. 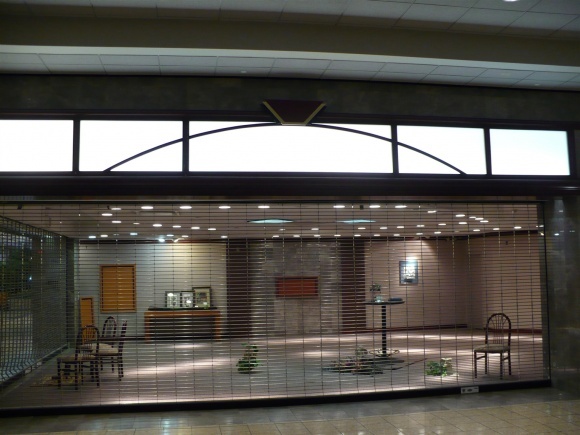 If you want to experience the mall one last time, it looks like you may have to drop by soon. And, it’s done. 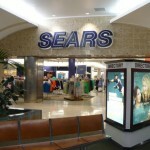 Will be cleared out and demolished by the end of the year, except for possibly Sears and JC Penney’s. It’s a sad day. We’re going to go pay our last respects tomorrow. The website’s offline. She’s dead, Jim. The small office building they talk about keeping open, in the Denver Post article, I know for sure has a dentist office in it. I was just referred to this dentist yesterday, because I need a root canal (ouch!). On the referral slip it has a map and directions to this dentist’s office. There is still a printing of Trail Dust Steakhouse on the map. I guess I’m glad to know that my dentist isn’t referring me to an office that will be demolished before I get there! 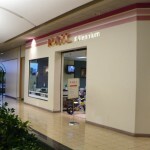 Was at Kay Jewelers in the Orchard Town Center a couple of months ago. 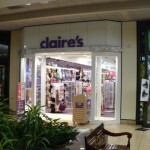 They moved from Westminster Mall to there, 2 years ago. 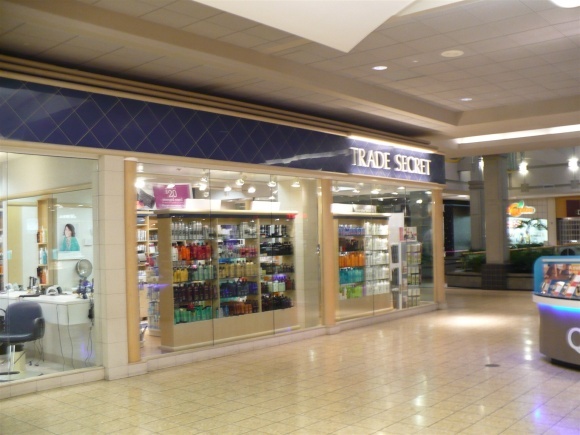 When I asked the salesclerk about the move she said: “We had to move, because we didn’t have any employees that were bilingual!” She also implied that a lot of the other tenants that were in Westminster Mall left for the same reason. She claimed that most of the people that go to the Westminster Mall now, are Hispanic who don’t speak English. That is her statement, not mine, as I haven’t been to Westminster Mall in about 5 years. Not surprised that most of the customers at Westminster Mall couldn’t speak English, actually this is a problem for a good many o fother Denver area retailers too. My father is a pharmacy manager for a King Soopers ( Kroger ) store and he has ran into issues with this such as those who can’t speak English and with a staff who doesn’t speak Spanish, its a problemm a problem so often they would have to call another associate to come to the pharmacy ( usually in the deil or a frozen food ) to help out. while the other customers have to stand and wait while Kroger gets pissed that work isn’t getting done fast enough. It really is a lose-lose situation. For those who can’t speak English, why not ask for their IDs? That would make sense but King Soopers won’t allow it ( at least his store doesn’t ) because of the fear of getting sued for discrimation and the bad PR as a result. As my dad would say..good idea but who wants to deal with Frank Azar ( the lawyer ), Tom “the troubleshooter” Martino or “KUSA 9 wants to know.”? Demolition began Sat July 23 on the west side. Went to the demolition party that the city threw that Saturday. They gave out food trays from the food court with the old logo on them. Also managed to get a huge piece of limestone from the old May D&F/Foley’s/Macy’s. There’s a facebook group for it as well. 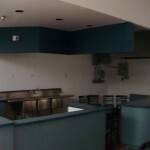 Has a bunch of interior pictures from 4 days before demolishment. 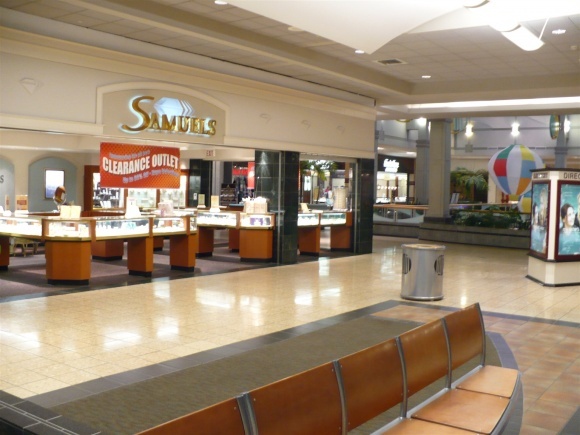 I grew up near the Westminster Mall and I have fond memories of the early, 1970s version of it. 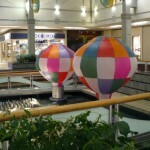 The Balloons were a magical attraction, no other mall had anything like it. 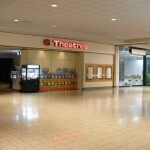 Orange Julius was a big deal at the time, as was the theater and the arcade across the hall from the theater. I saw, Star Wars, The Empire Strikes Back, at the theater when it was state of the art. 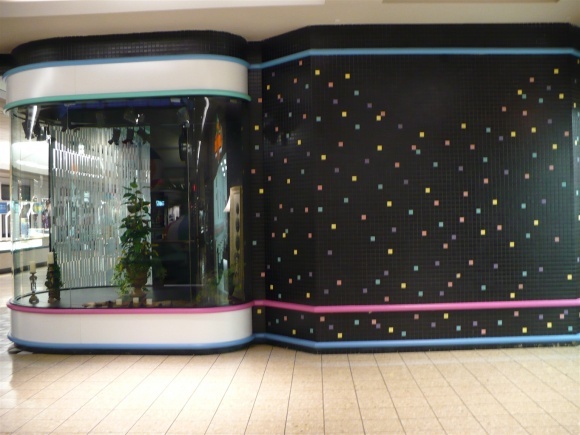 The arcade was a big draw for teens by 1980, on Friday nights the mall was a huge teen mecca. 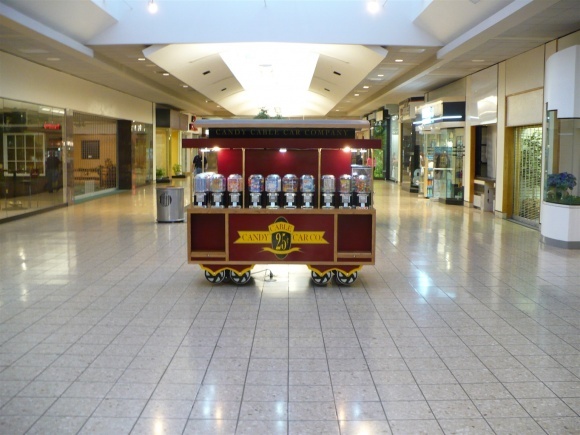 We would, “cruise the Mall”, and create huge traffic jams near the arcade entrance! The pizza joint that opened next to the theater was really good, in later years I went out of my way to stop in for a slice of the Chicago style pizza, it was exceptional! 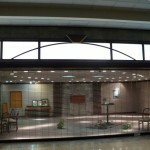 Please tell me the names of jewelry stores, on the southeast entrance. 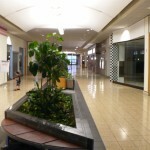 Glad to see that someone was able to sneak some pictures of the mall. 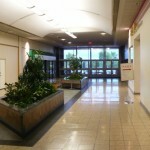 I was one of the people who was promptly approached by the mall’s security guard when I tried to snap pics in 2006. 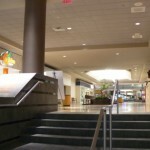 I was glad to read about the reason why the mall didn’t want photos in this article. The incident made me feel like they thought I was a criminal…but at least I now understand that I wasn’t the only one who was censured. 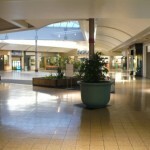 I lived in metro Denver during the early 1990’s when a whole group of older malls were still doing well. Now, it seems like most of them are gone or radically altered. 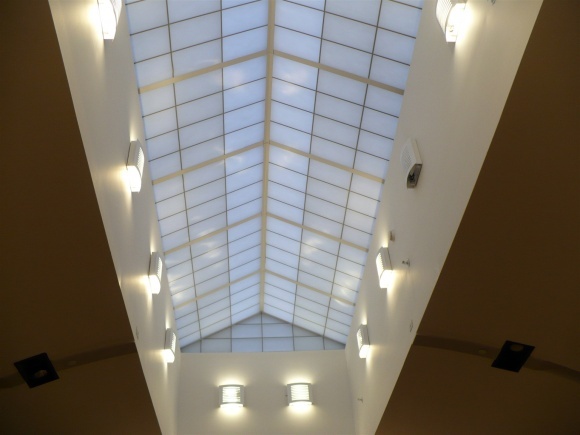 The new malls are beautiful, of course. 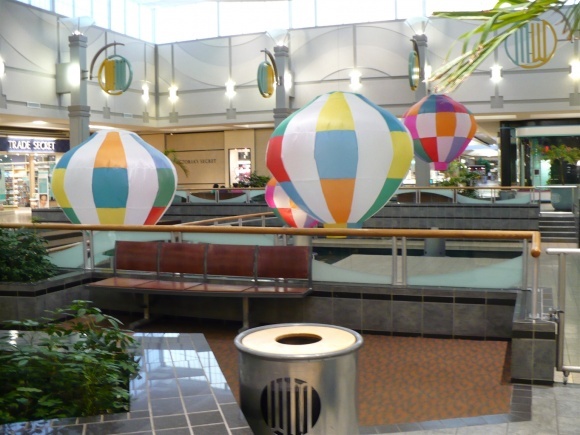 But as many people mention here, lots of people have nostalgic memories about fun times they had at the older generation of malls. 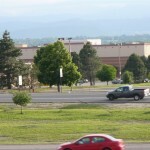 May 7, 2014 – Westminster, CO- The City of Westminster, the Westminster Economic Development Authority (WEDA) and San Diego-based OliverMcMillan today jointly announced they are entering into an exclusive agreement for the redevelopment of the 105-acre site of the former Westminster Mall, located at U.S. 36 and Sheridan Boulevard. As the predominant land owner and master planner, WEDA has established the framework for the site’s master plan, which contemplates multiple phases of development. The plan calls for a high-density, urban development with residential, commercial, retail and other uses. The project will also have a public realm that includes large parks, a major landscaped boulevard traversing the property from north to south and a walkable/bikeable design that is pedestrian friendly. City Council approval of the official development plan is expected this fall. “We are thrilled to announce the alliance with OliverMcMillan. This firm is exactly what we need and want for this project. They have extensive experience in mixed-use development, plus a great track history of sensitivity to each community’s uniqueness. With patience and our strategic actions, we have set the stage for ourselves to partner with someone just like this and it is now paying off,” said Westminster Mayor Herb Atchison. 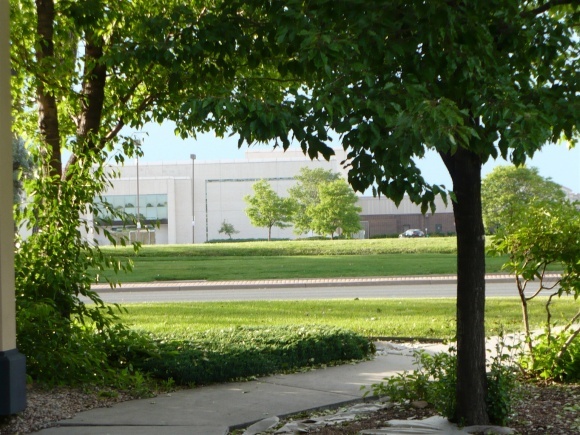 The City of Westminster has held fast to a vision for the former mall site as a city center that would be an amenity for Westminster residents and others in the region. The collaboration with OliverMcMillan is being described as a relationship which holds great promise for helping the city’s vision become a reality. “This is a firm that understands our vision, speaks our language and has the ability to help achieve our goals. OliverMcMillan is recognized as one of the world’s largest and most forward-thinking mixed-use development companies,” said City Manager Brent McFall.